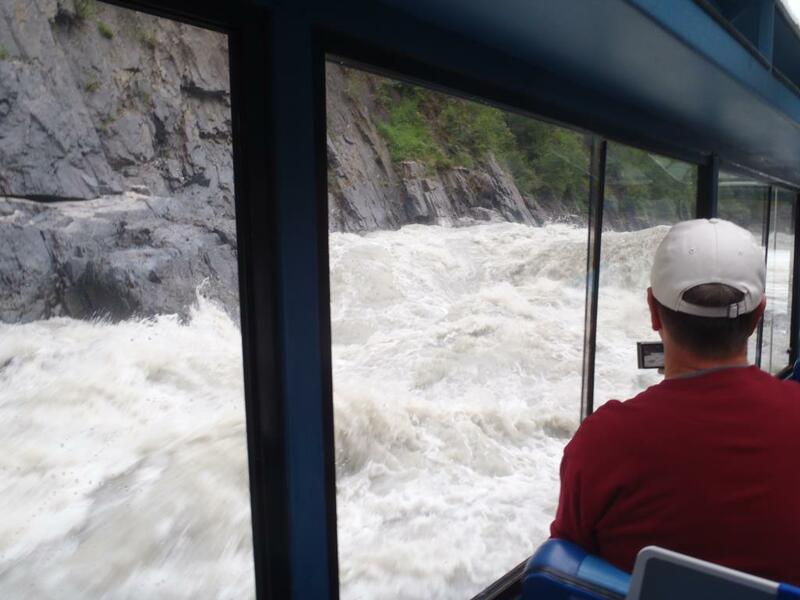 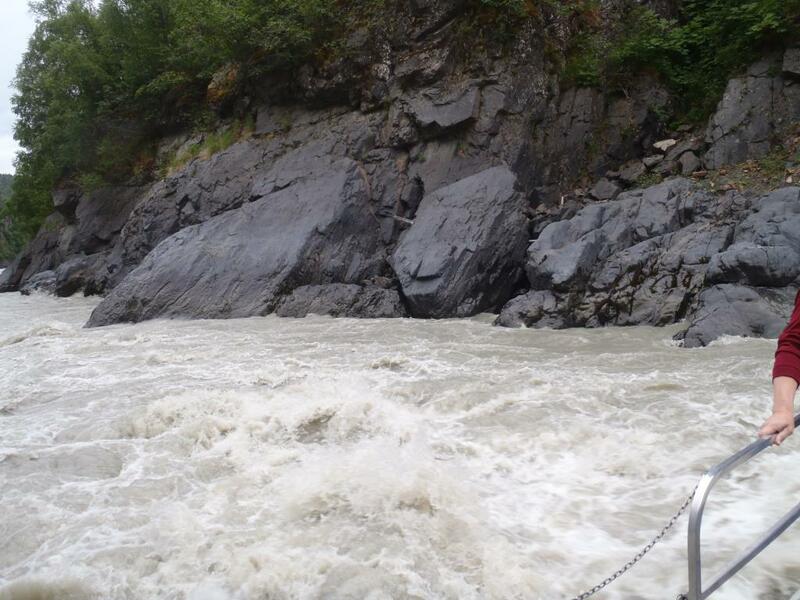 Today was the second of our two land excursions, a jet boat ride to Devil's Canyon. 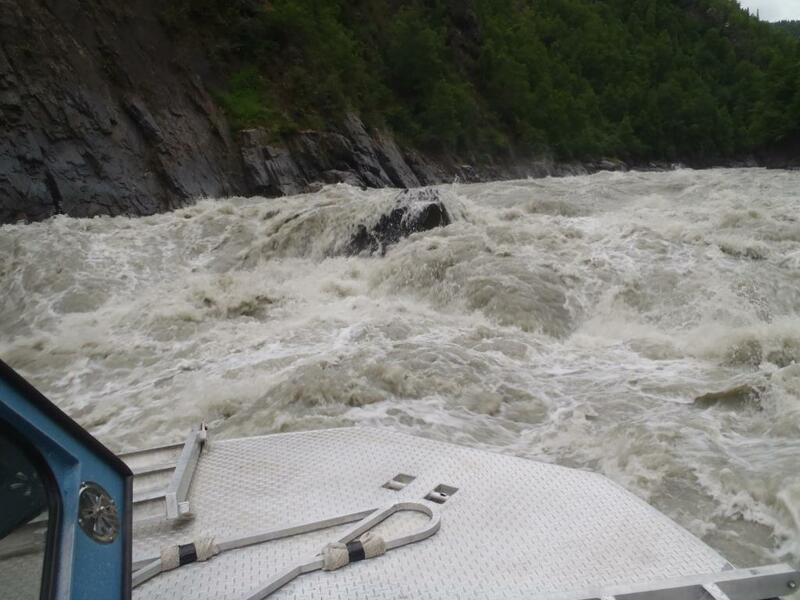 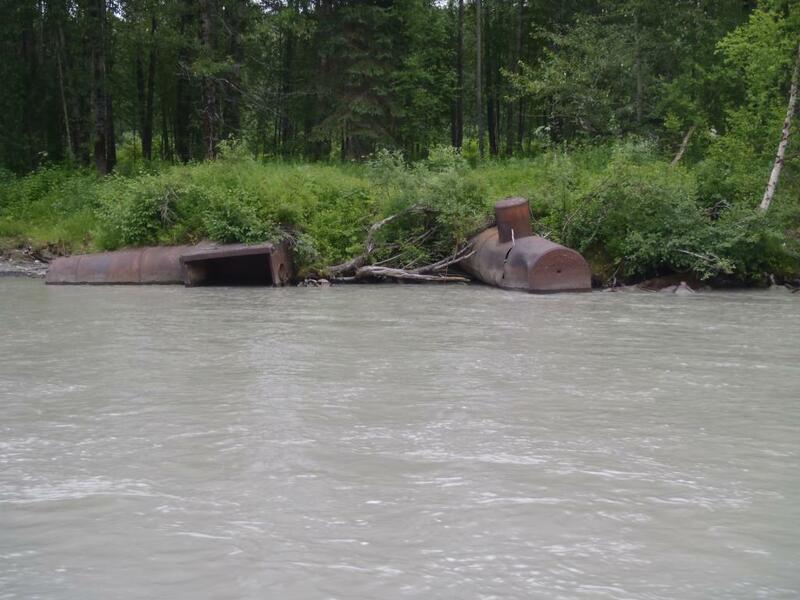 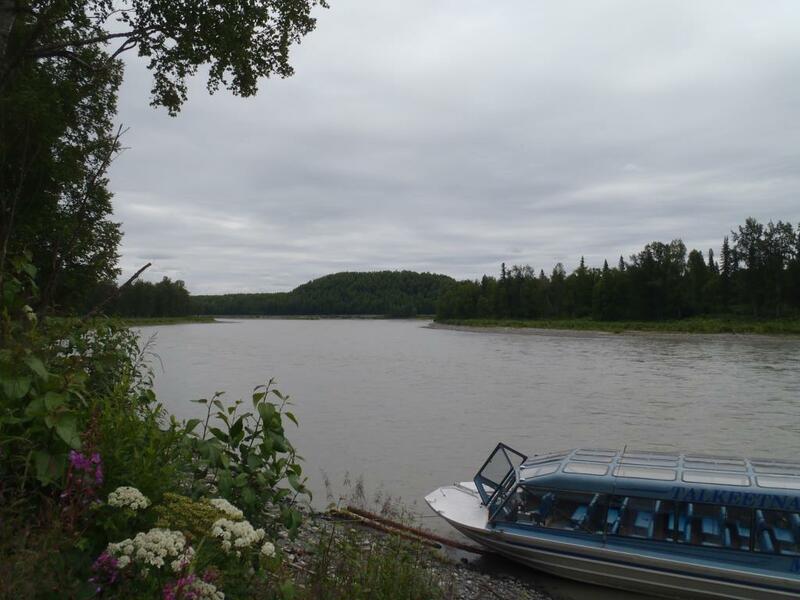 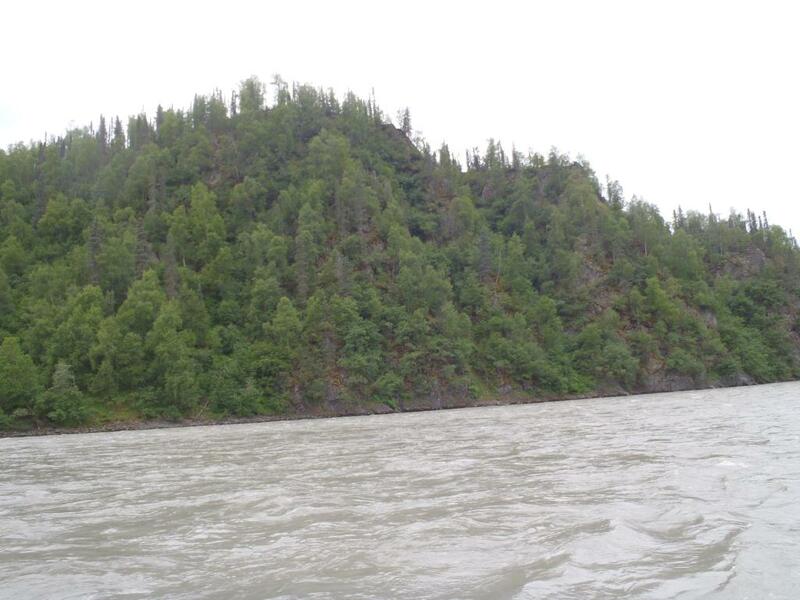 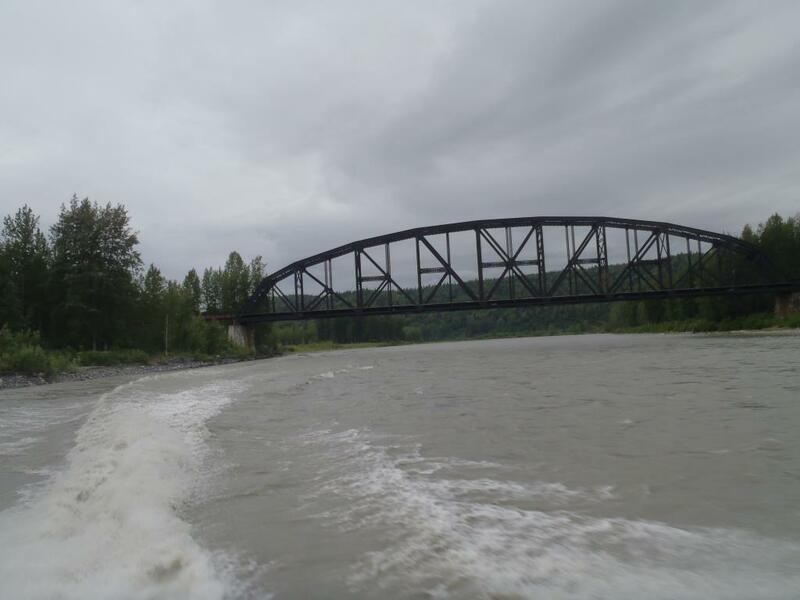 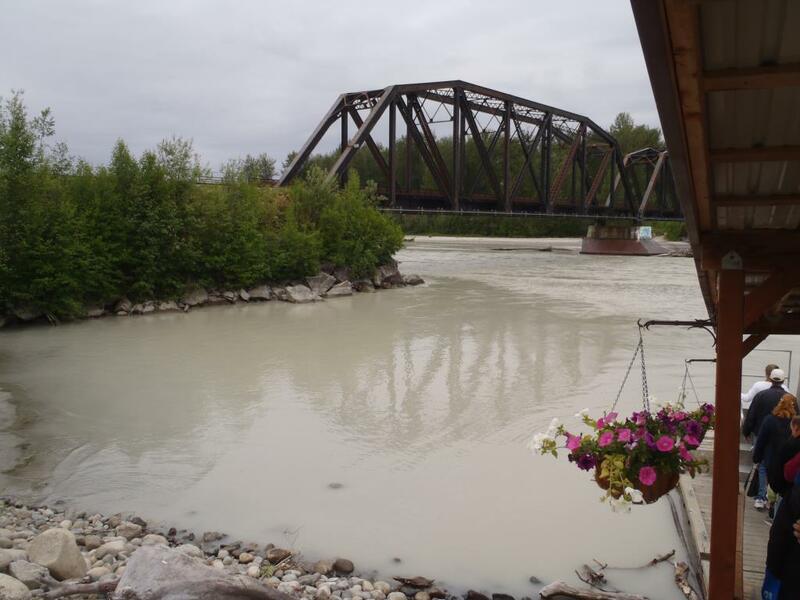 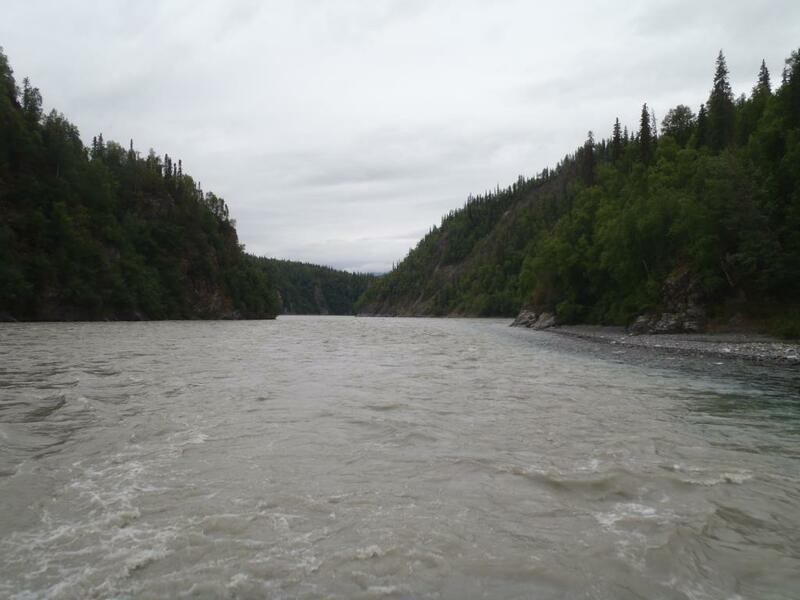 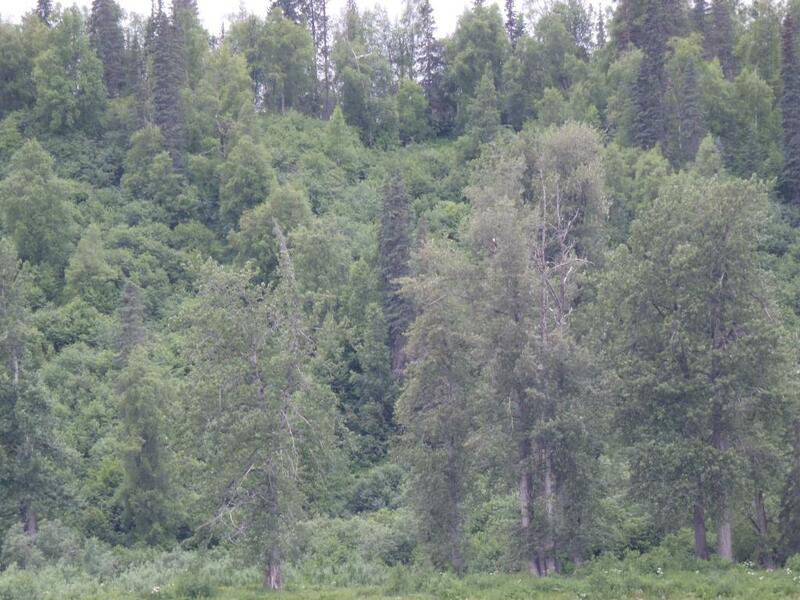 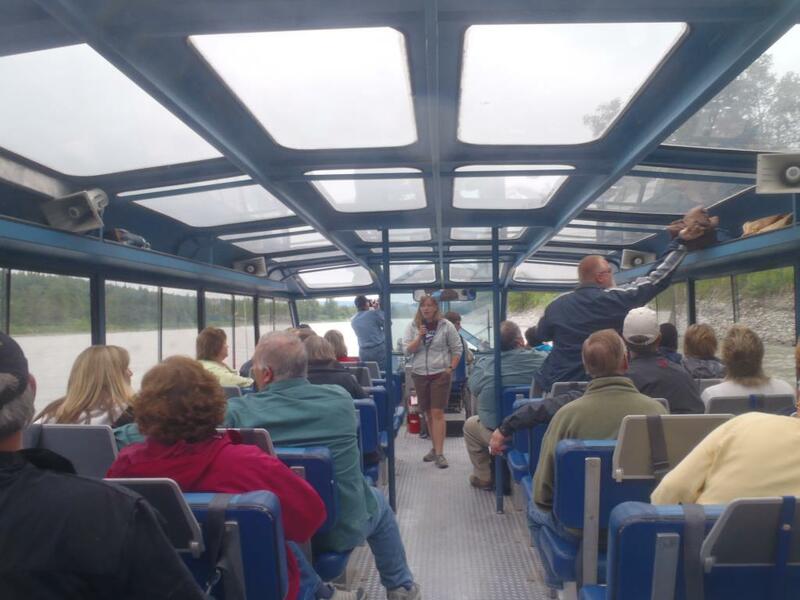 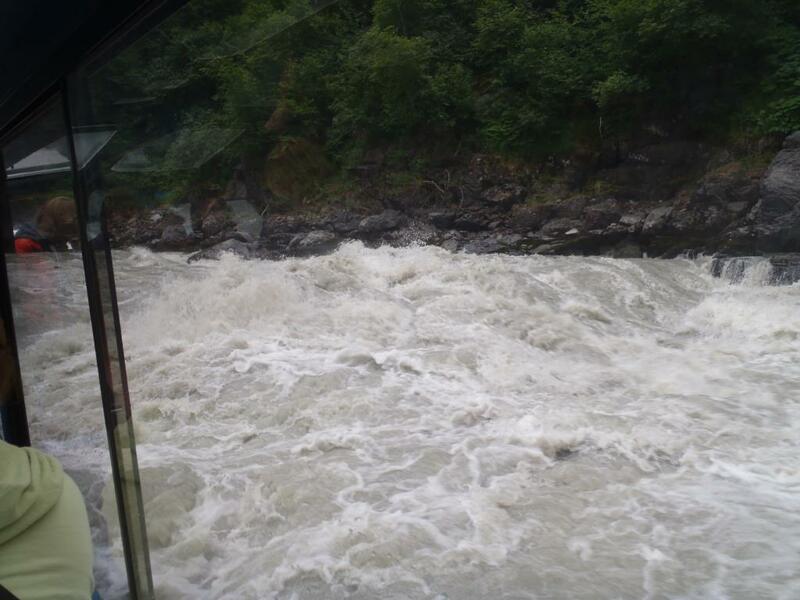 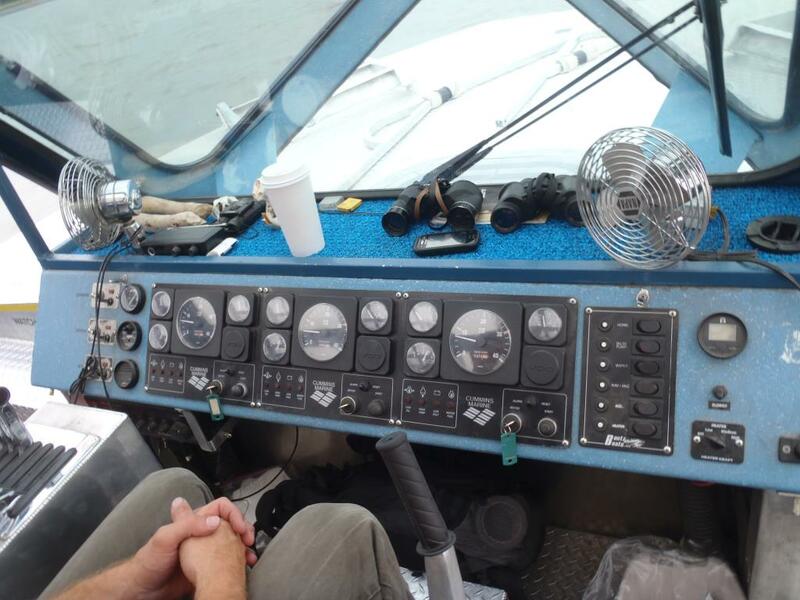 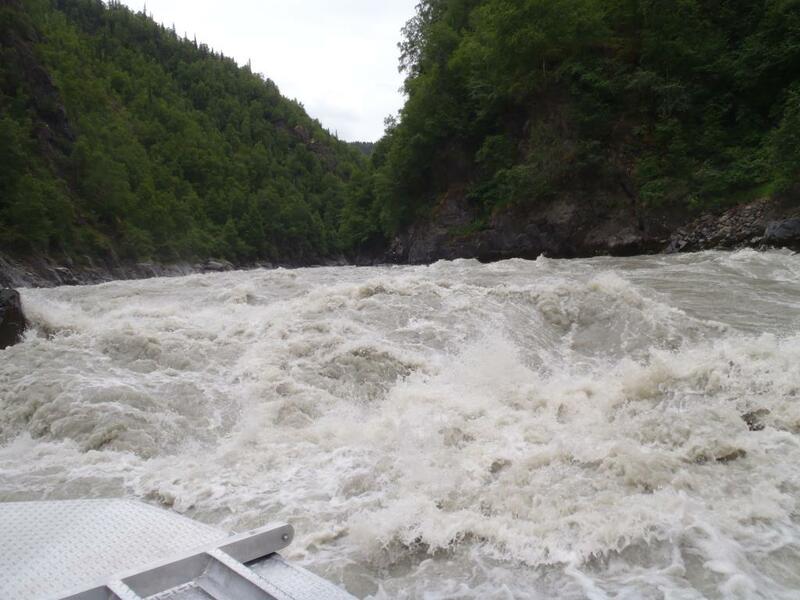 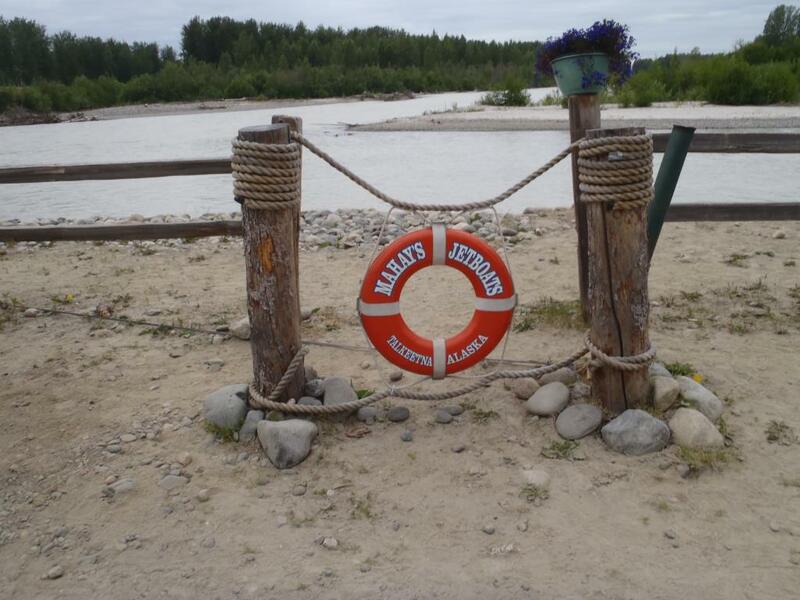 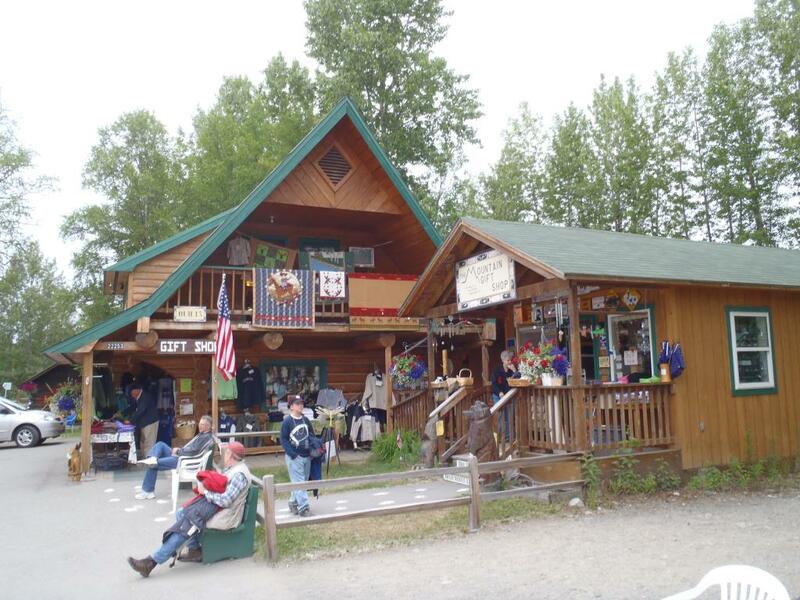 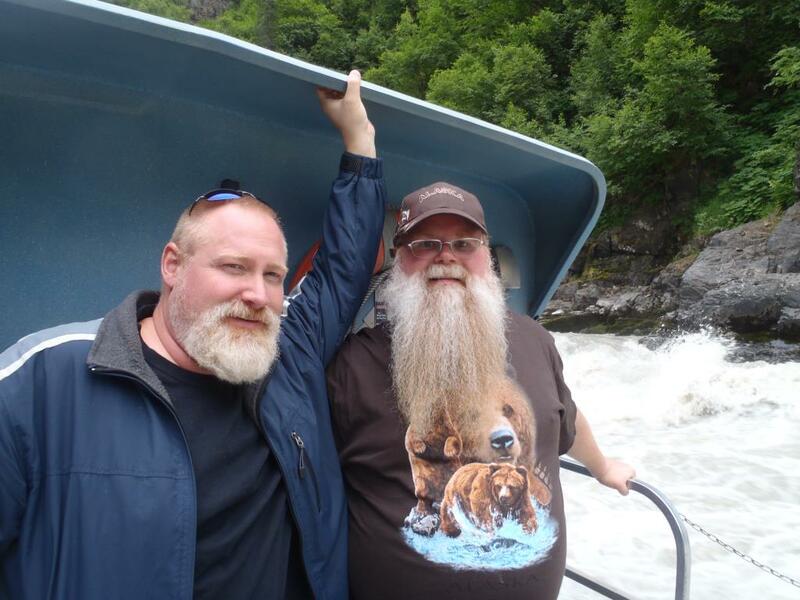 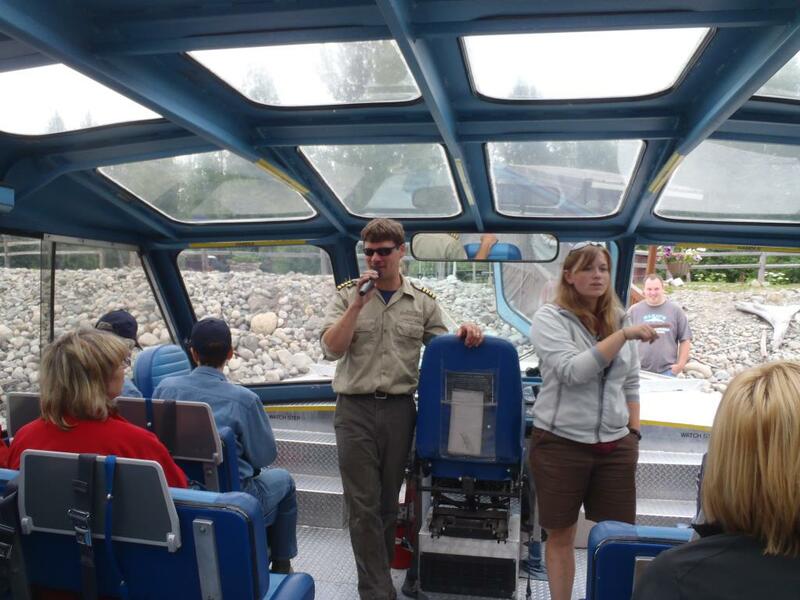 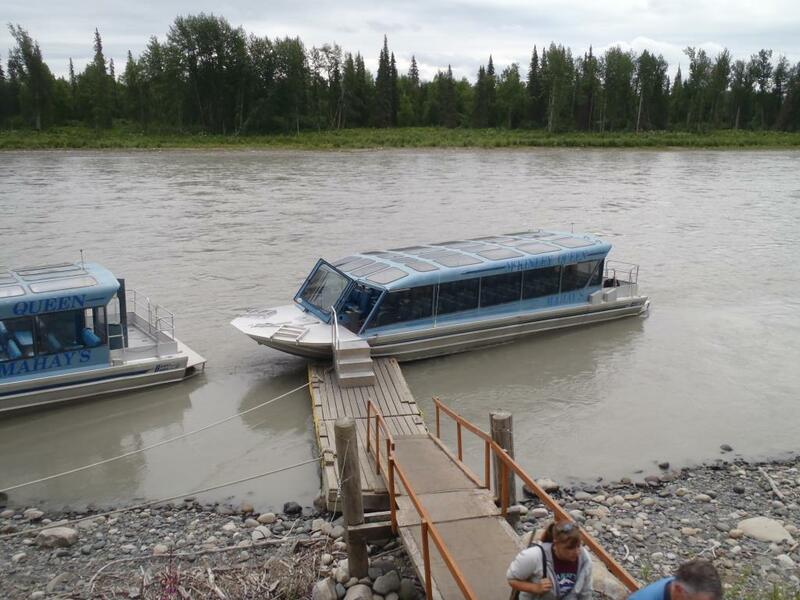 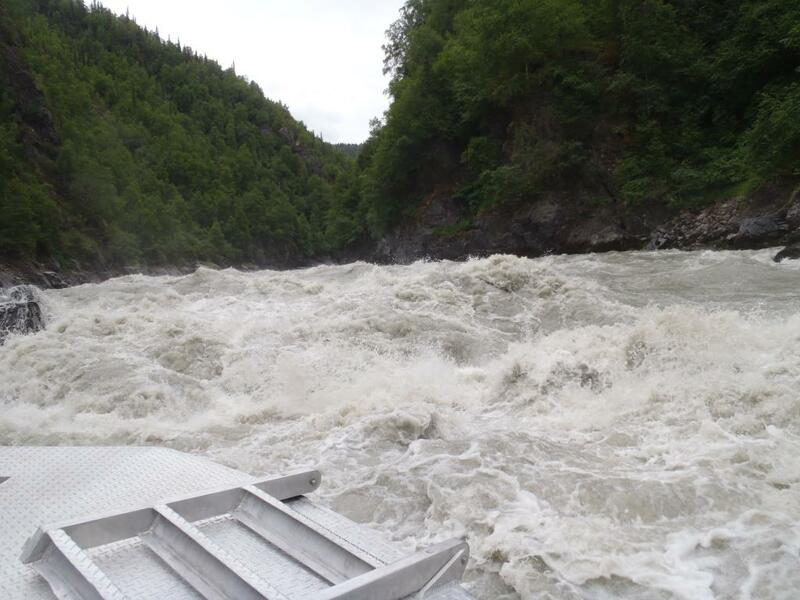 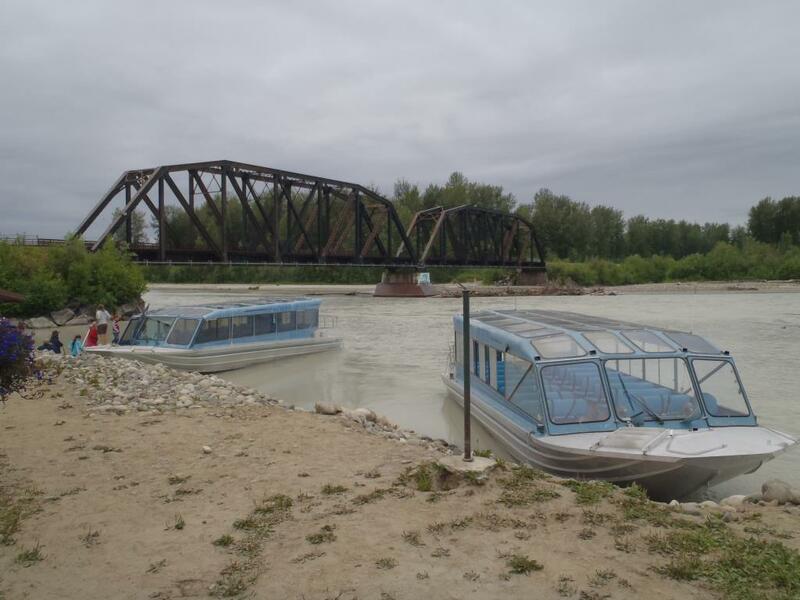 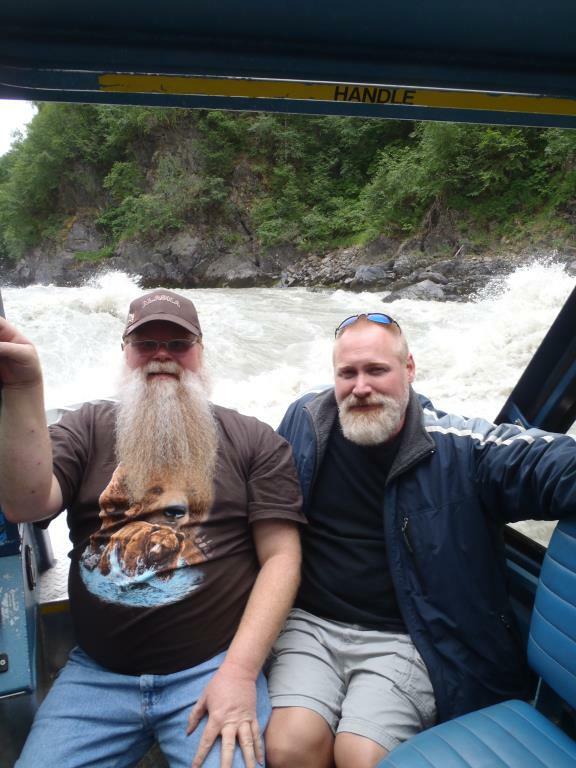 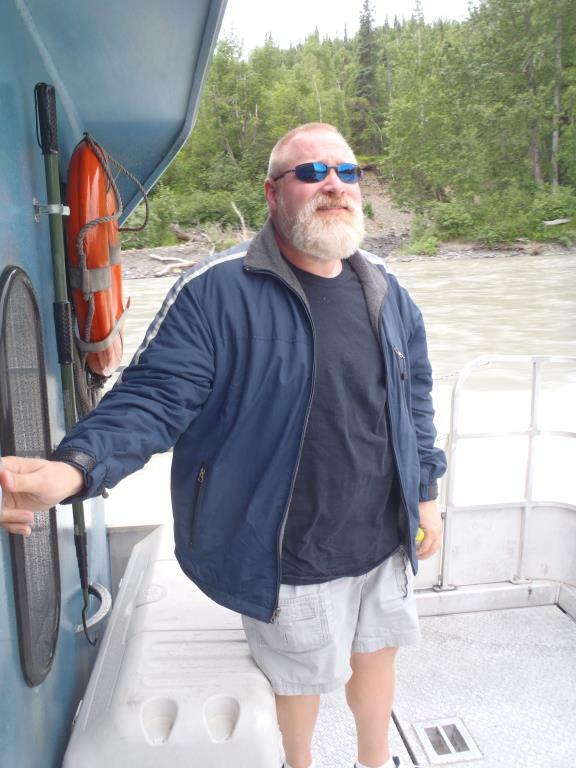 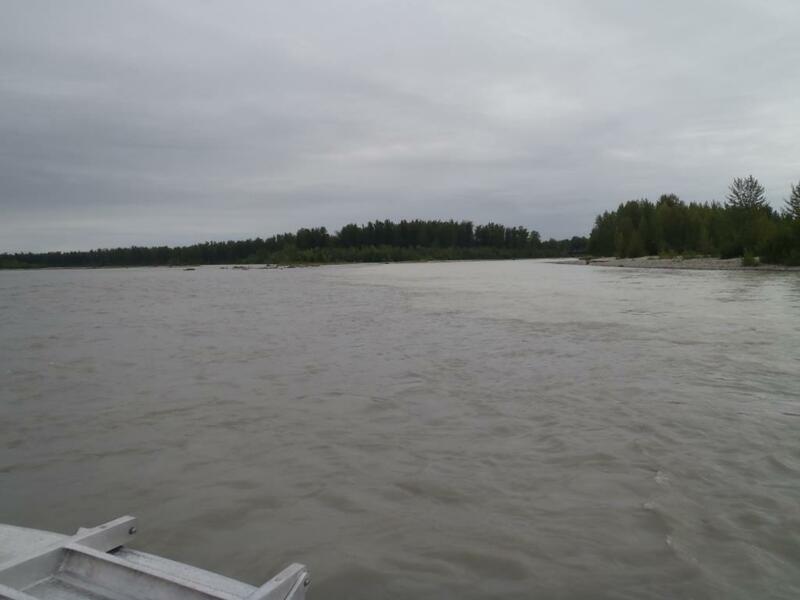 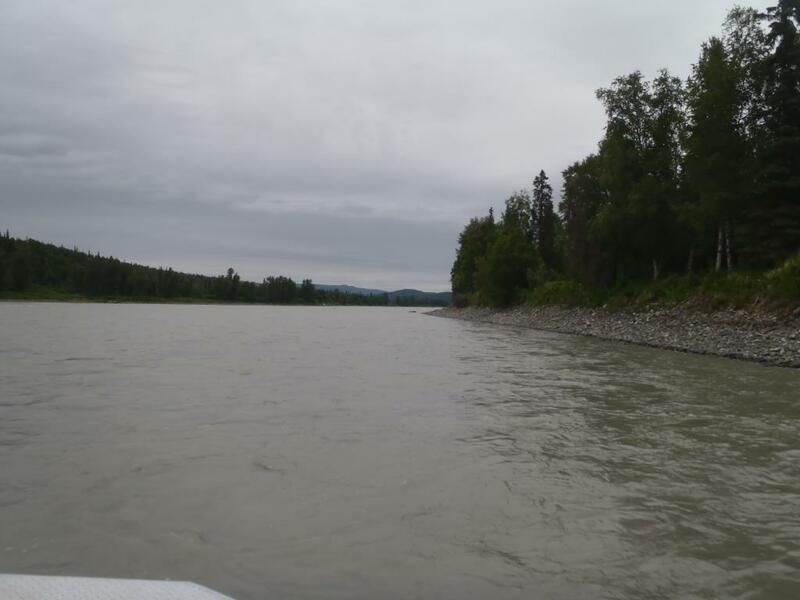 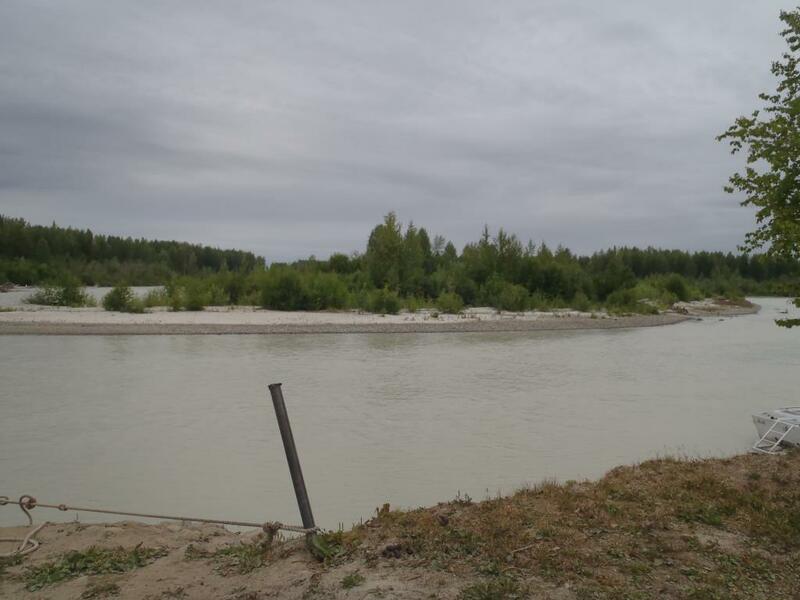 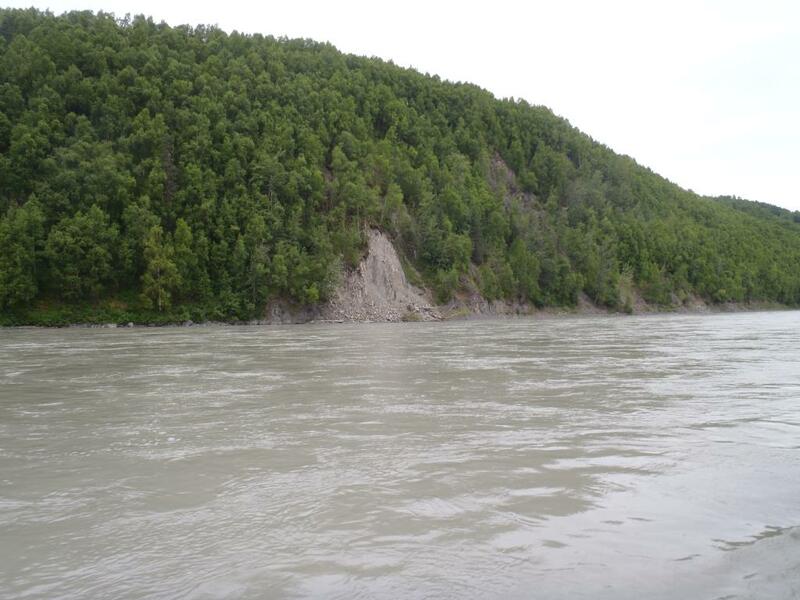 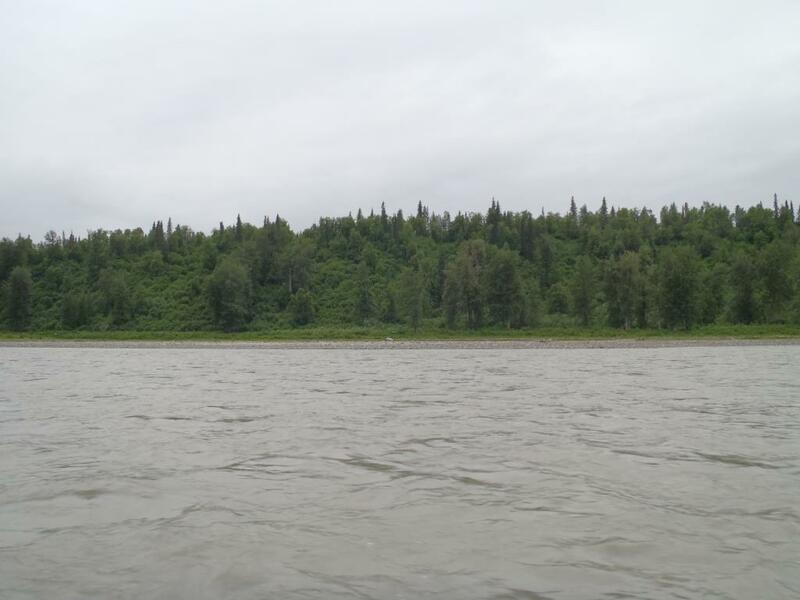 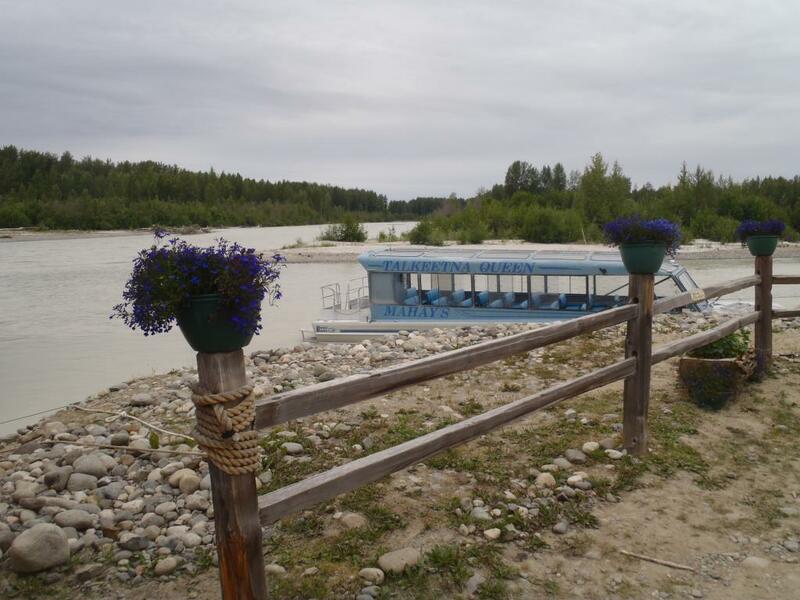 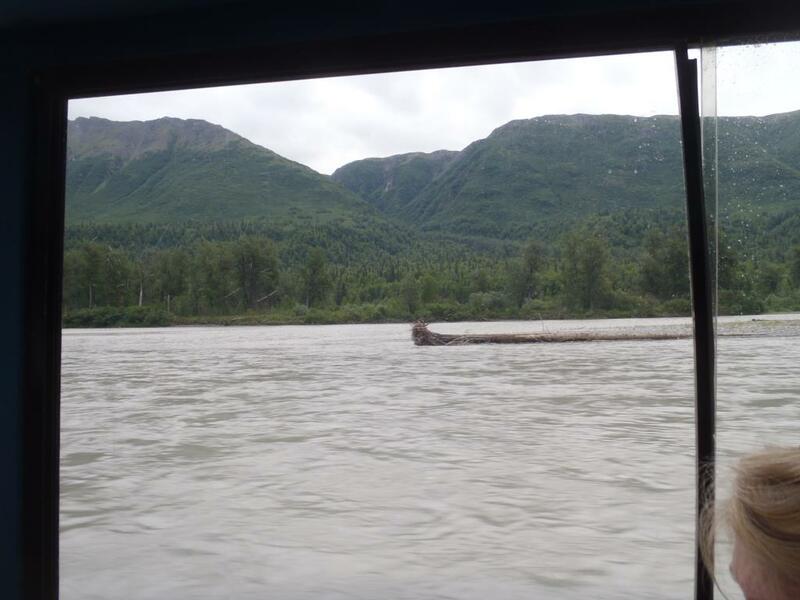 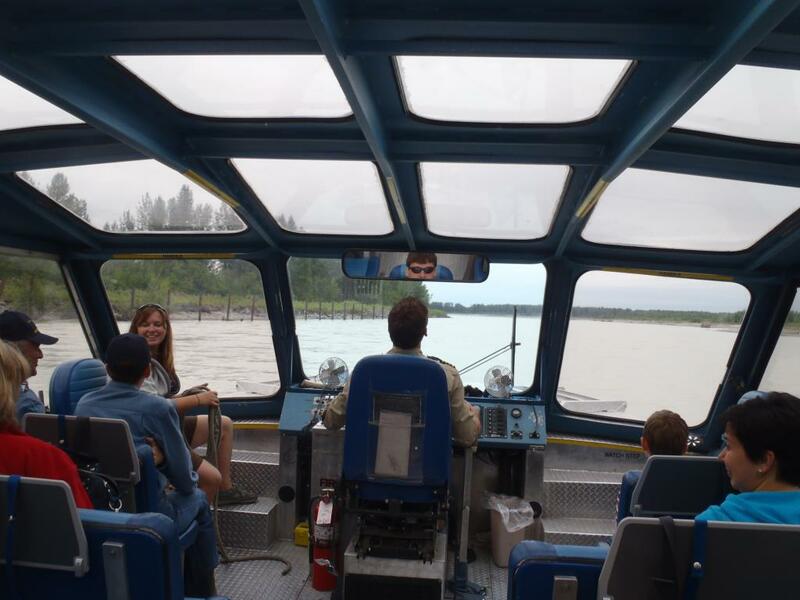 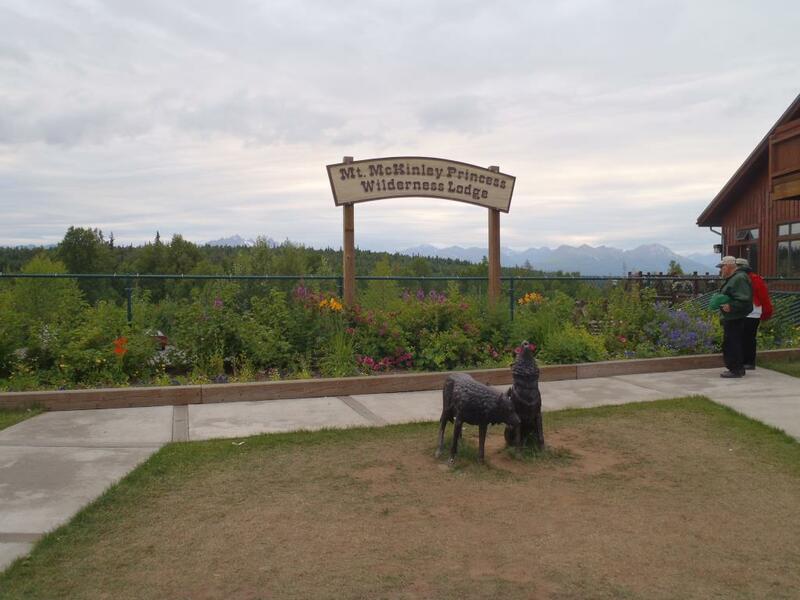 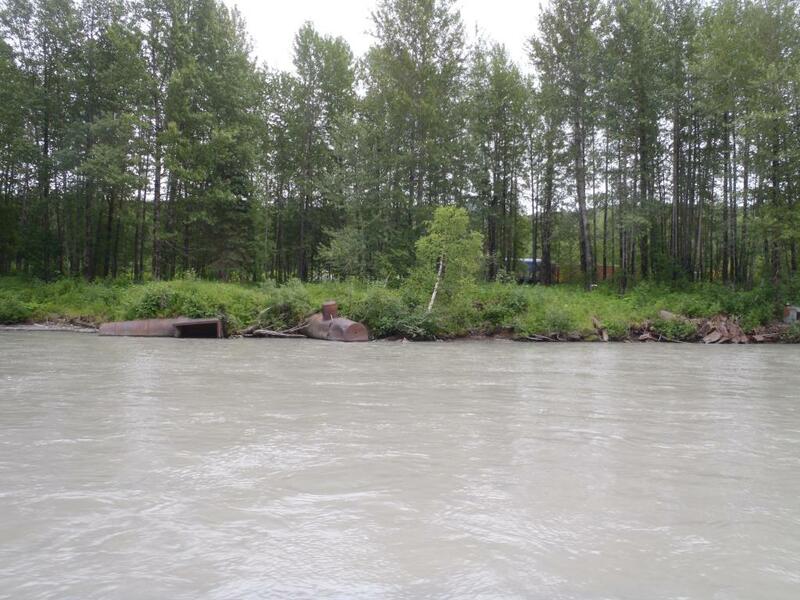 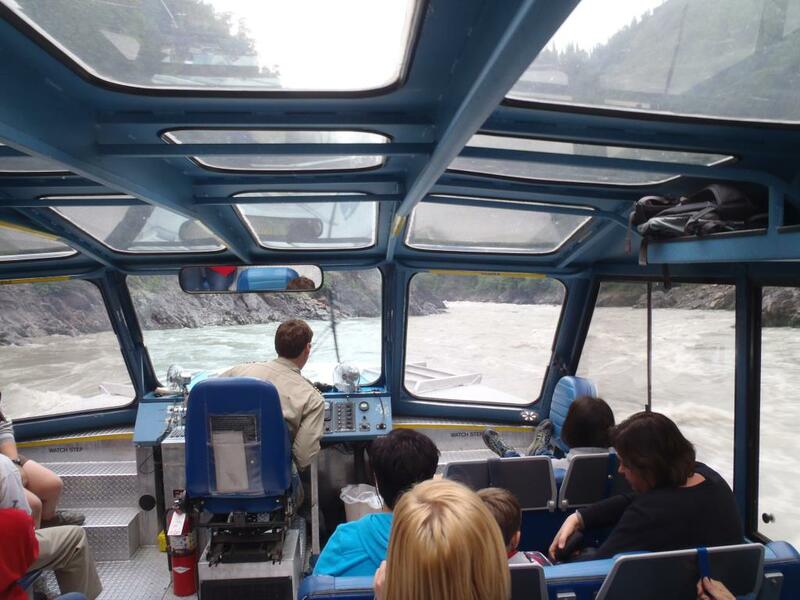 After taking the bus to Talkeetna we boarded our jet boat, Mahay's McKinley Queen. 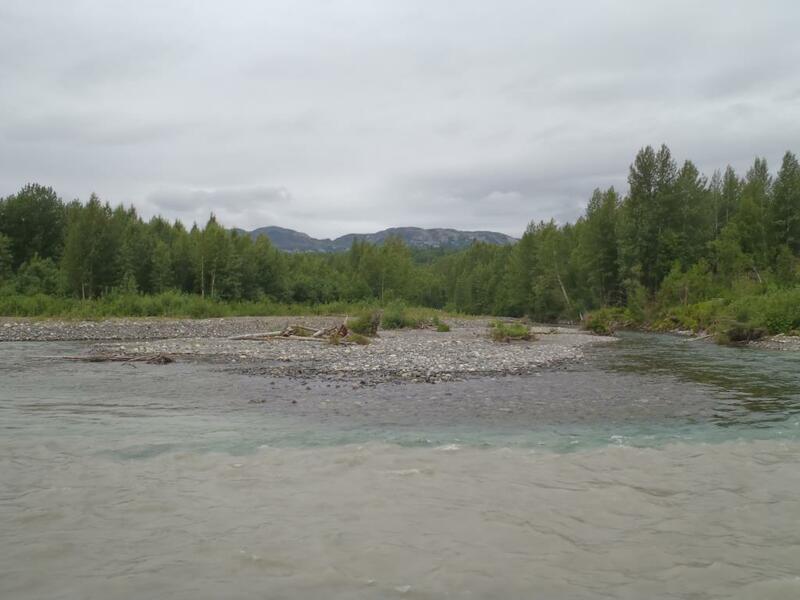 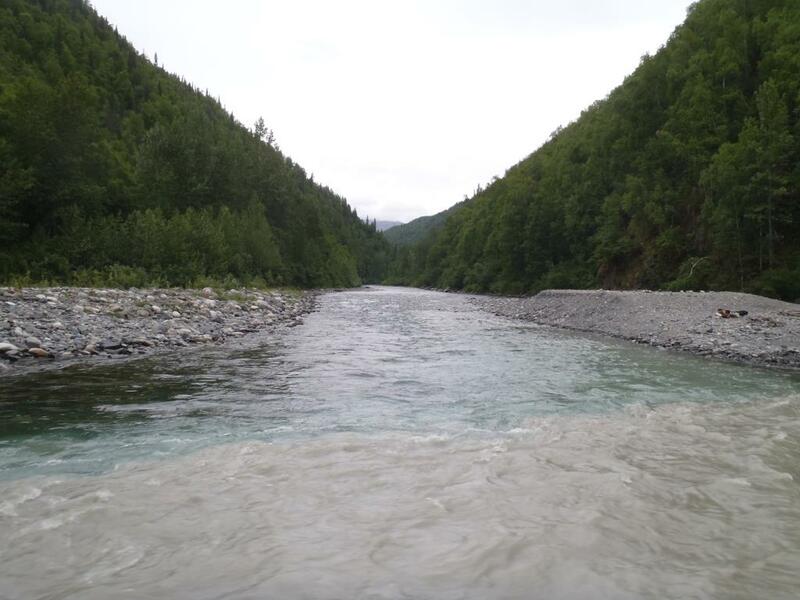 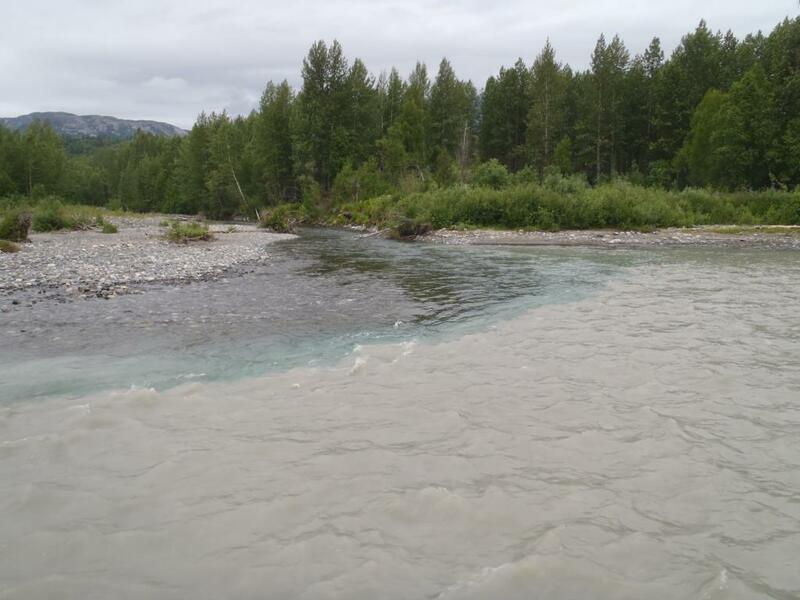 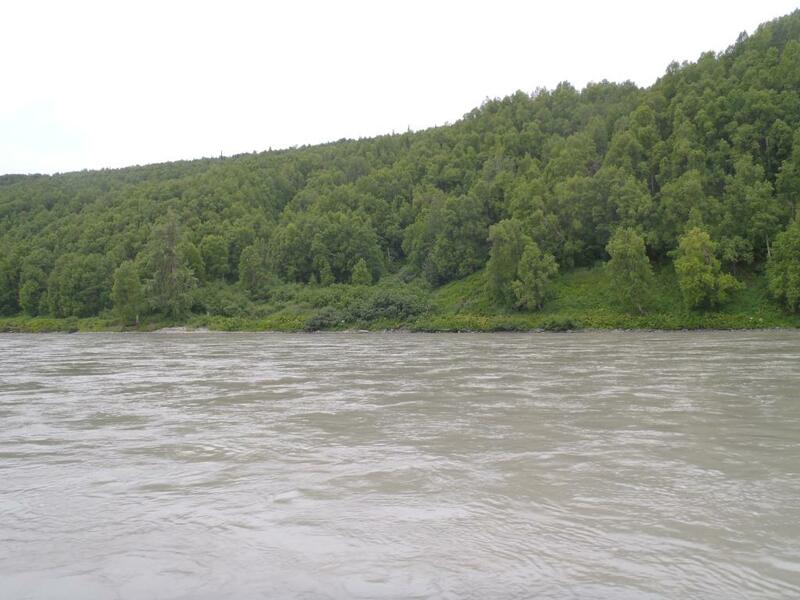 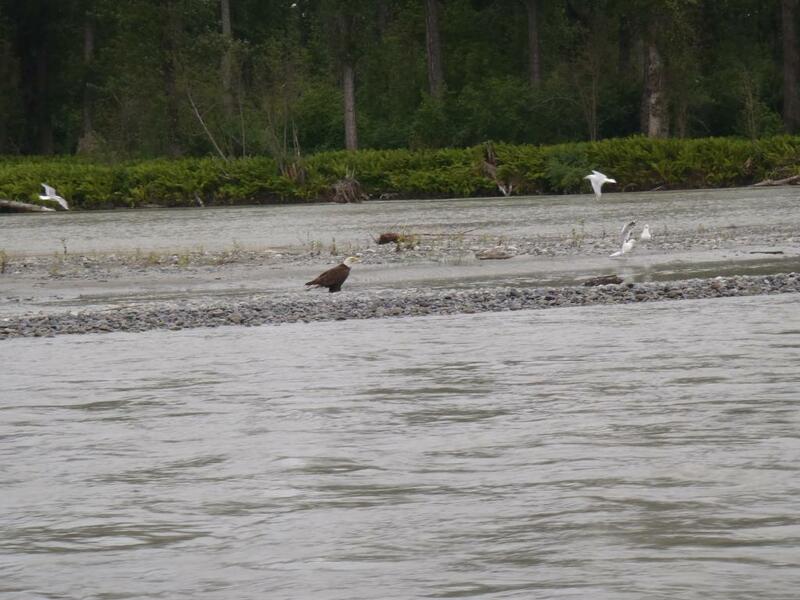 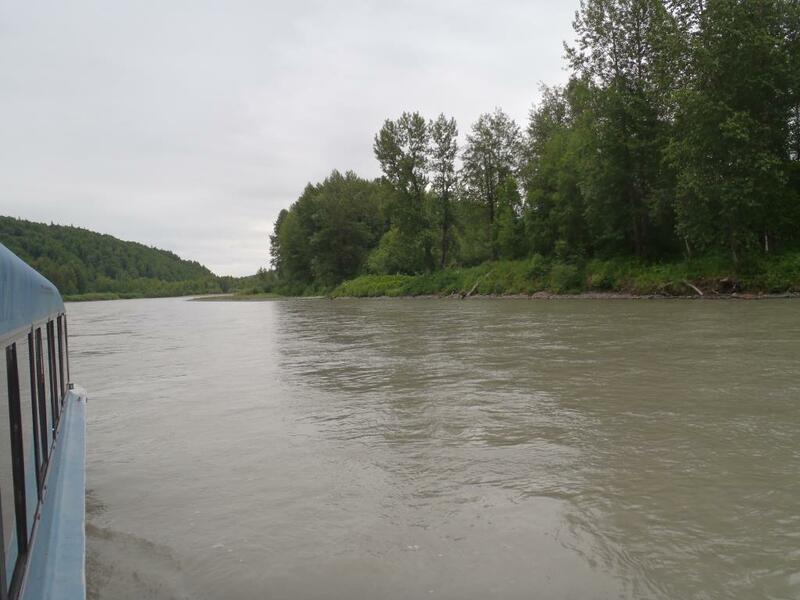 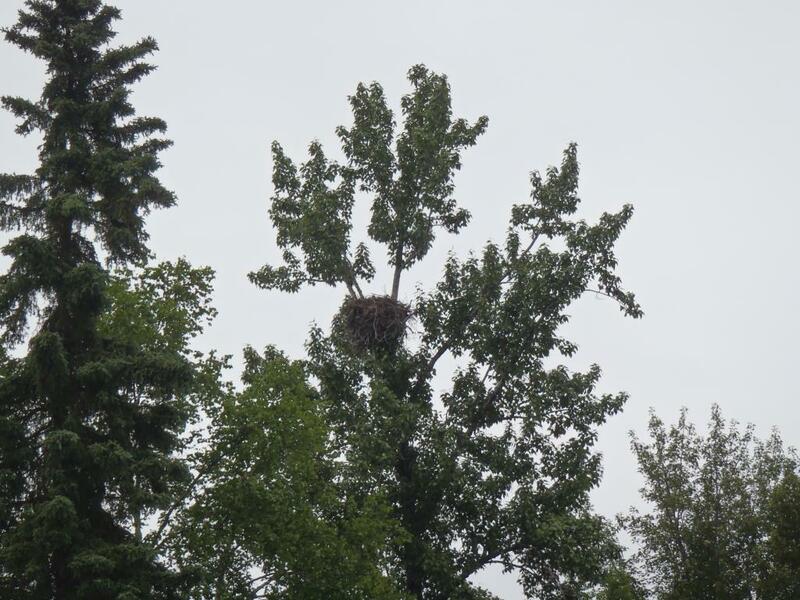 We motored up the river, seeing much wildlife including a lot of eagles. 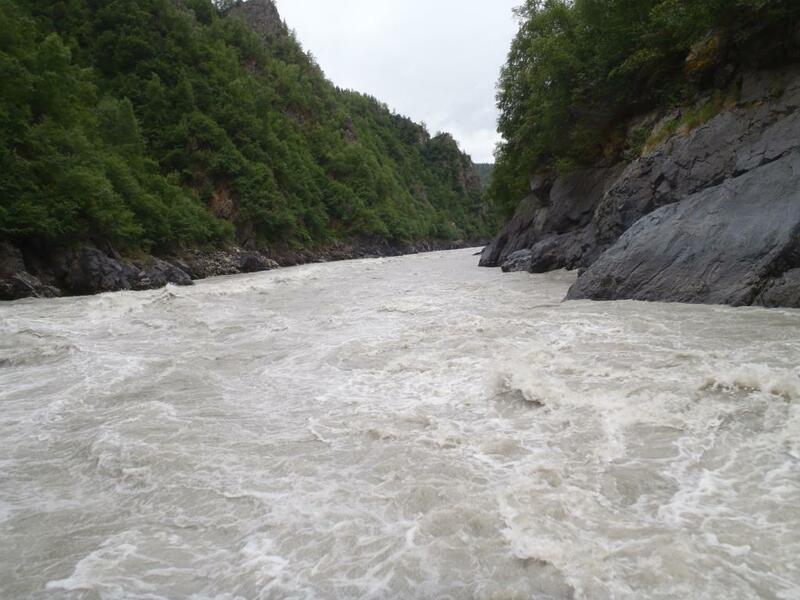 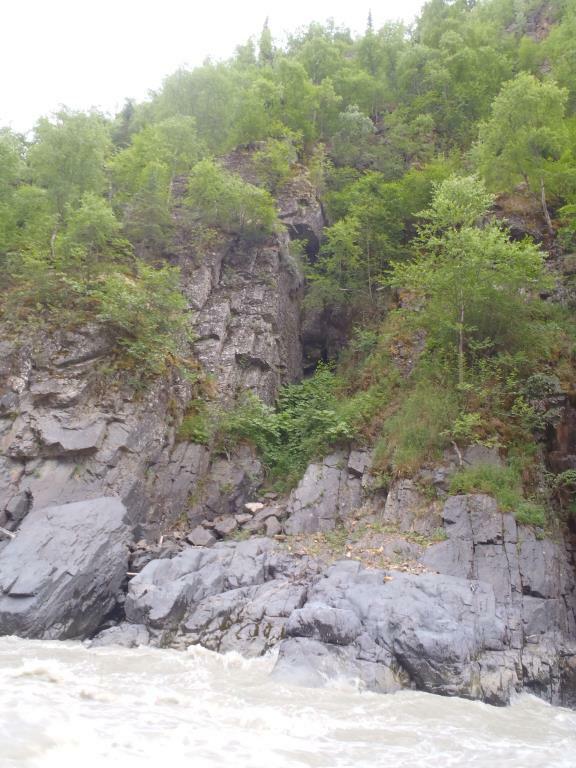 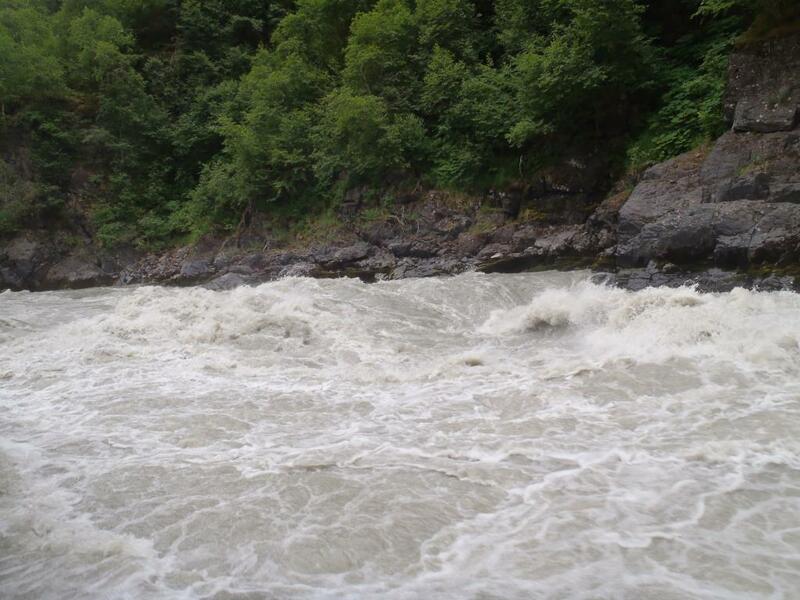 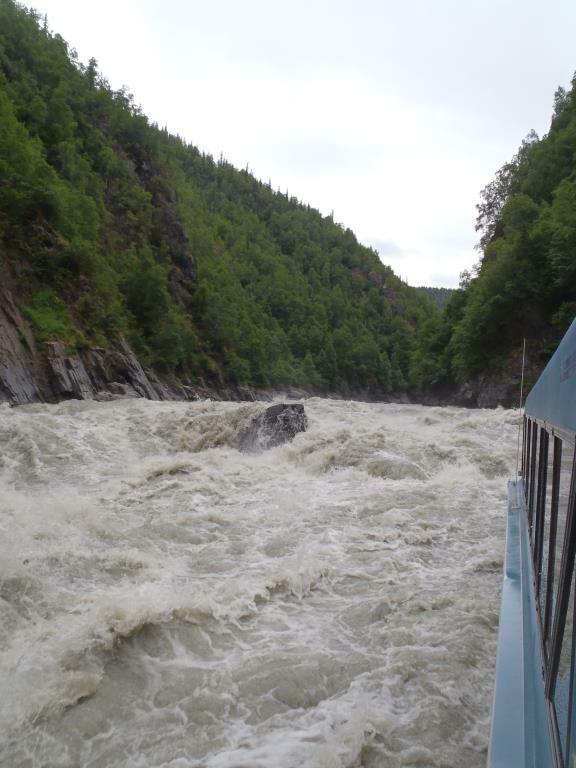 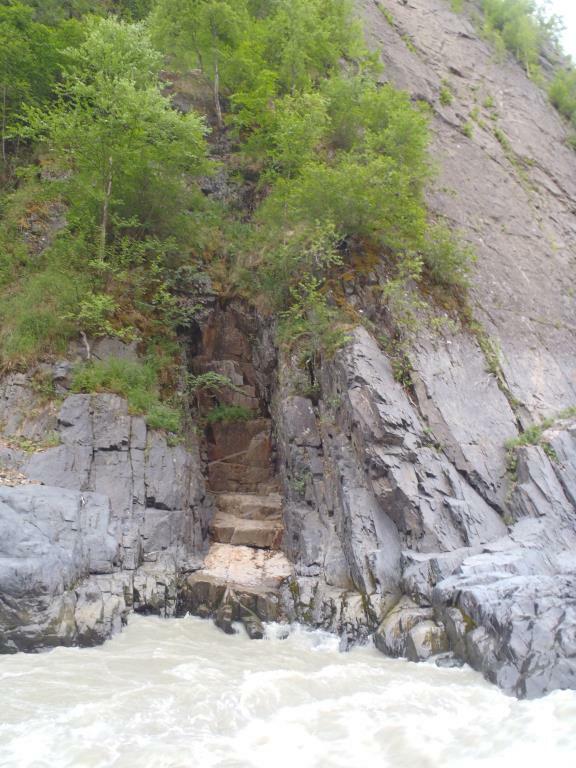 We then reached Devil's Gorge where there were force four and five rapids. 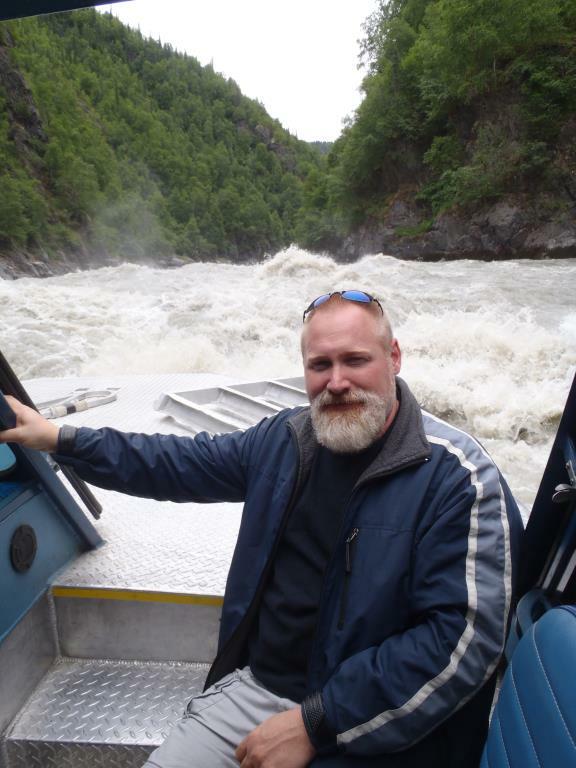 Using the jet boat's powerful engines, the captain was able to hold the boat in place for about 20 minutes so we could get many pictures and video. 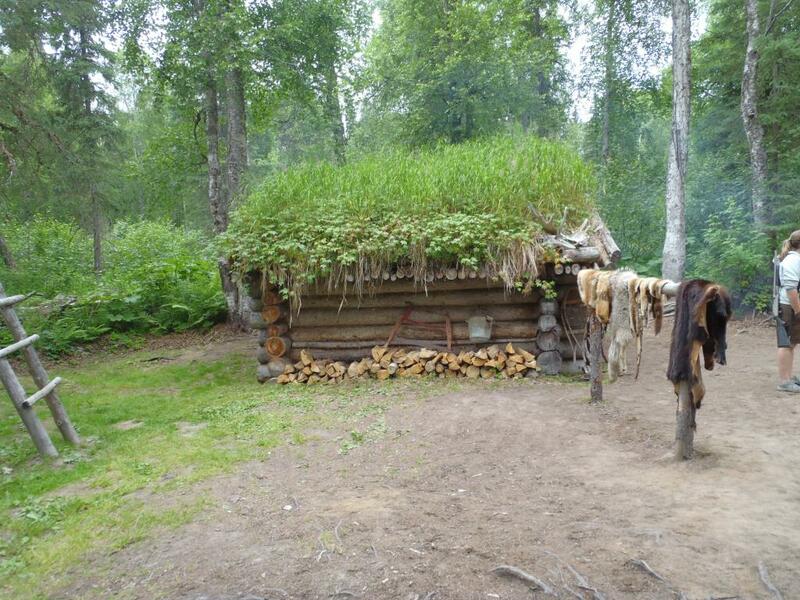 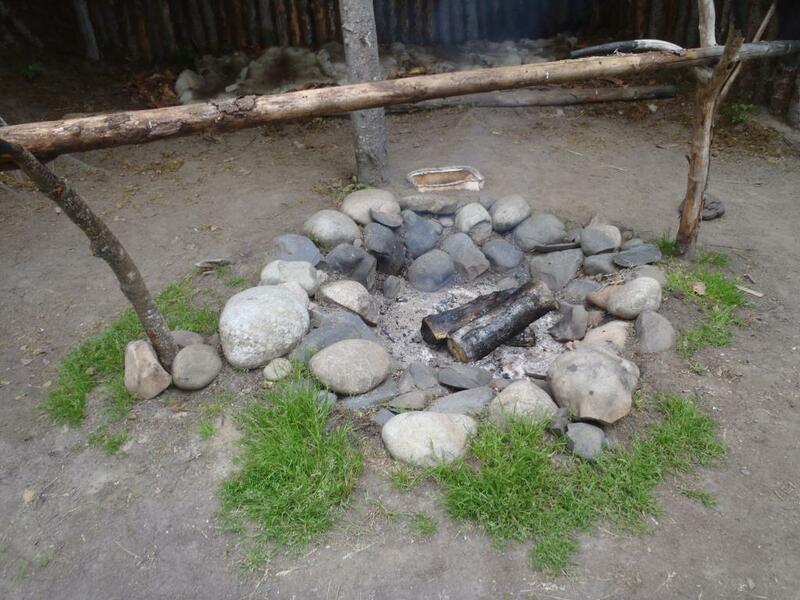 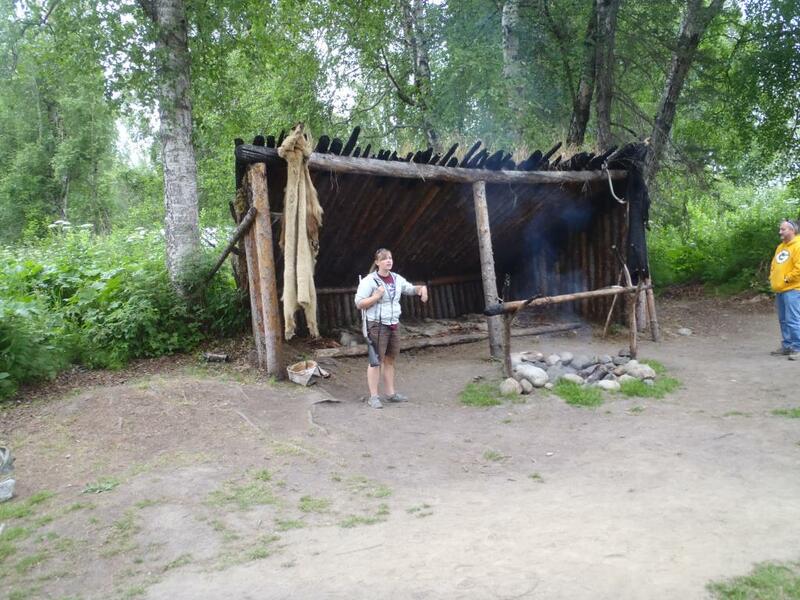 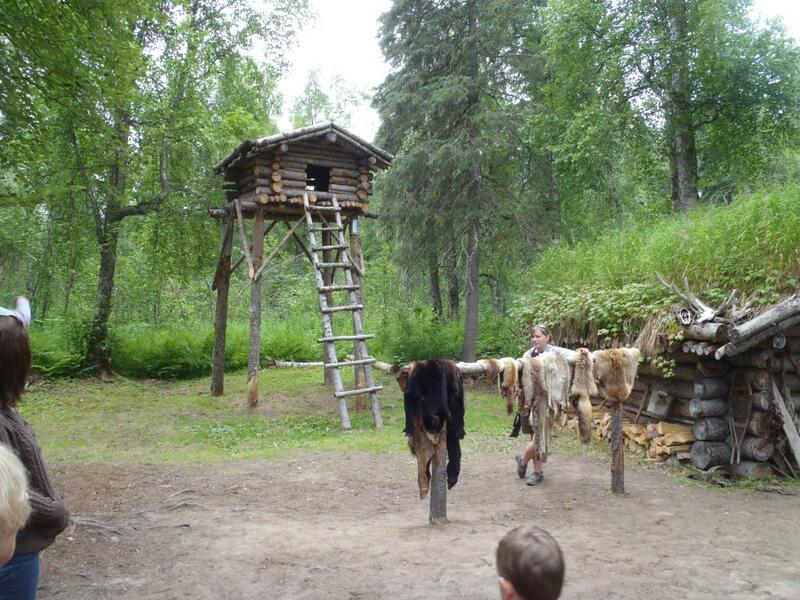 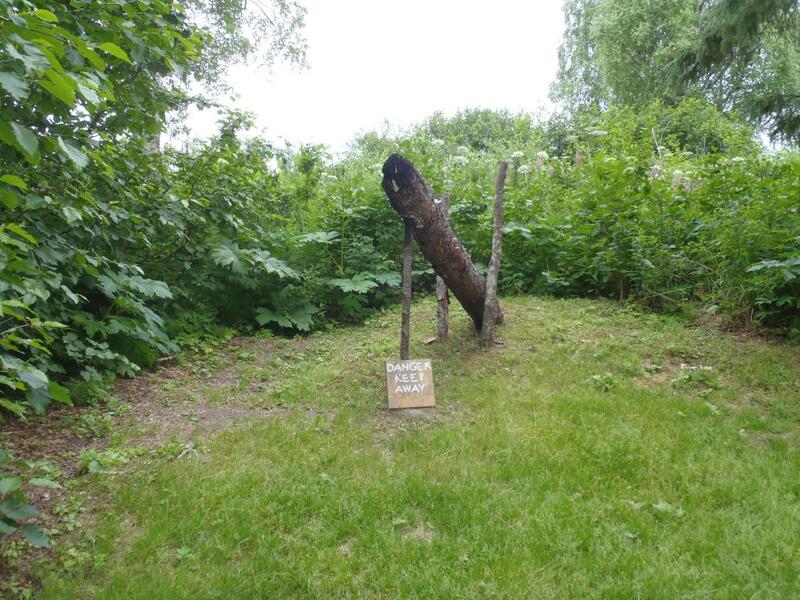 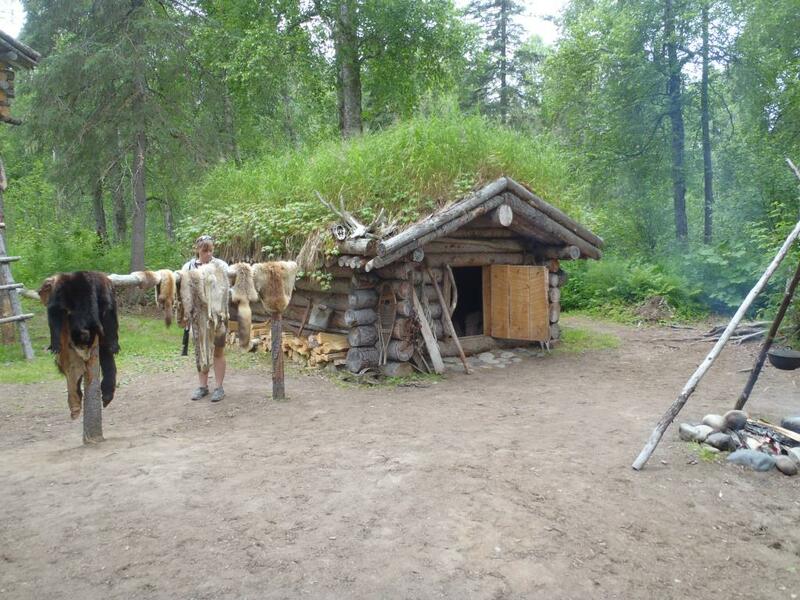 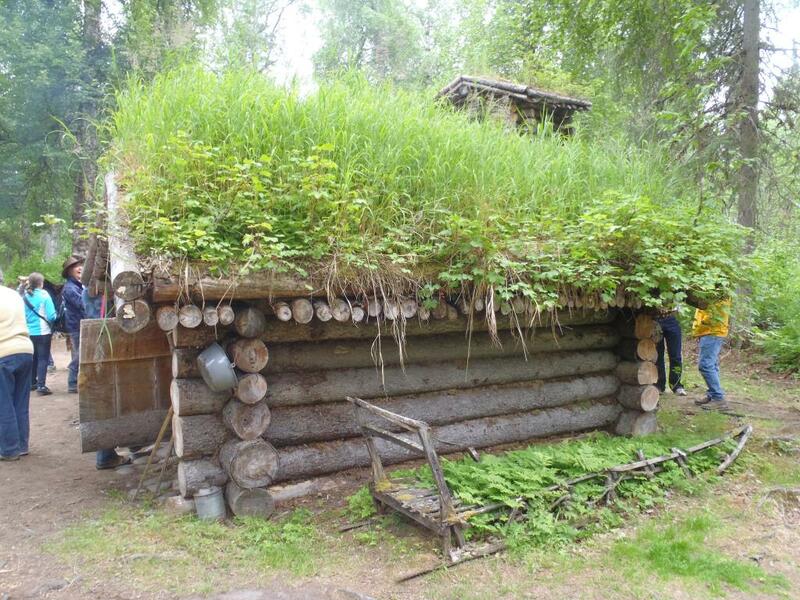 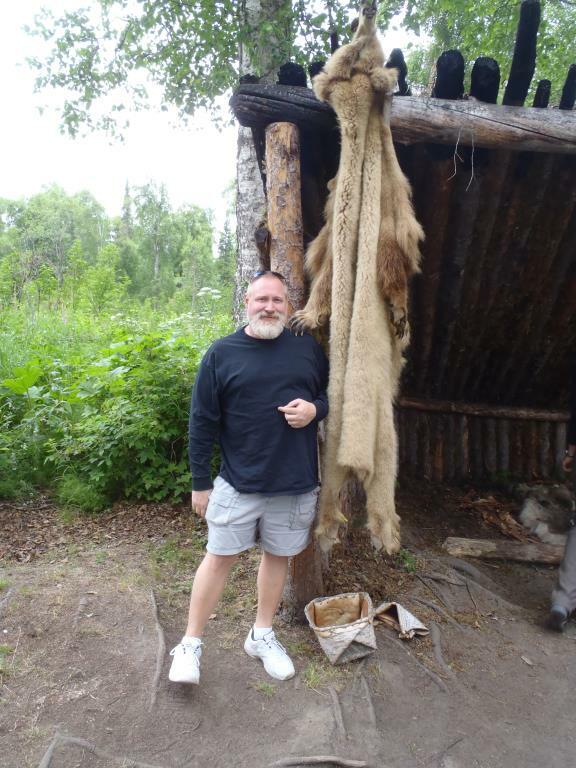 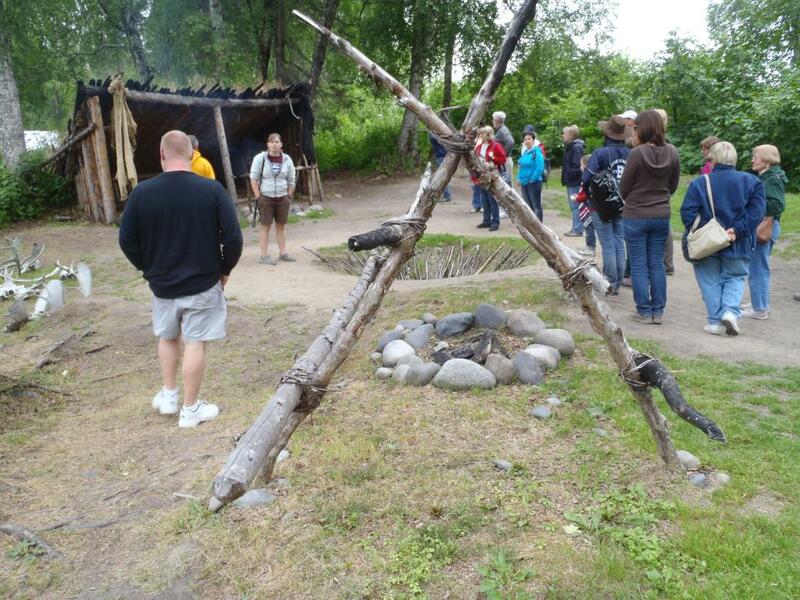 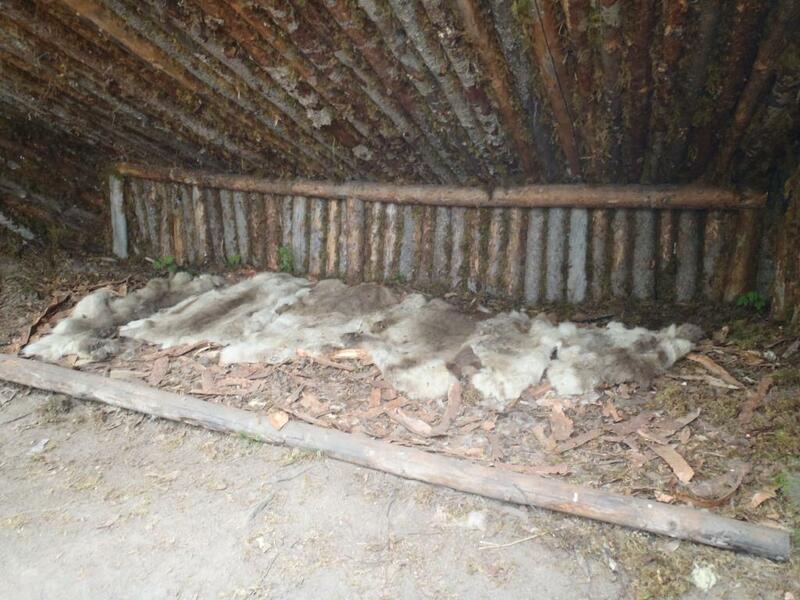 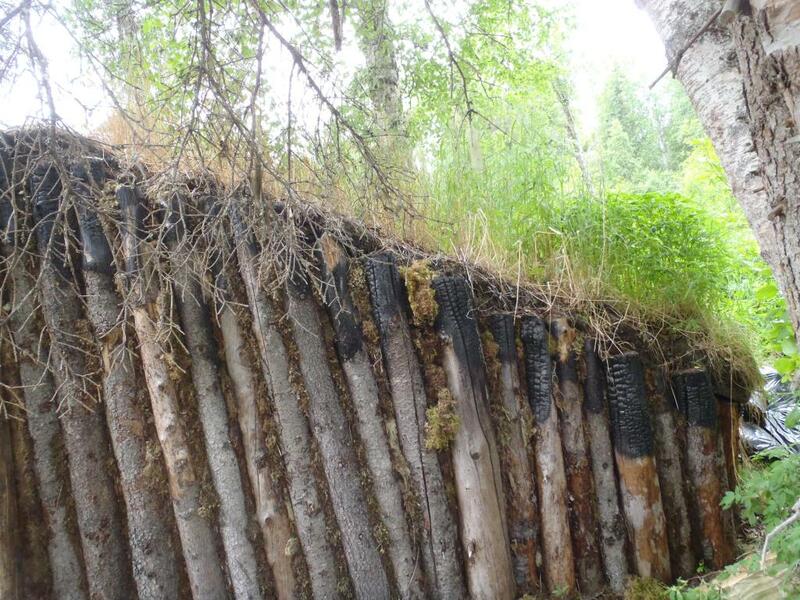 On the way back we stopped at a reproduction of a Dena'ina Indian encampment. 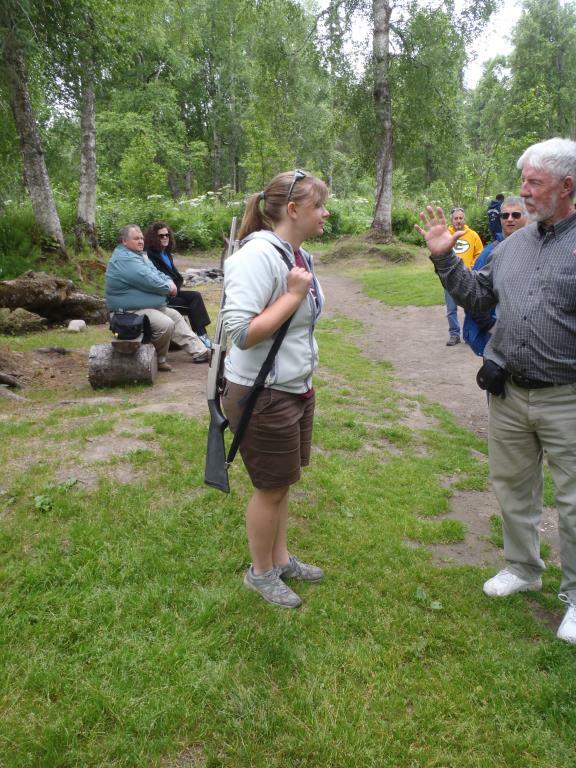 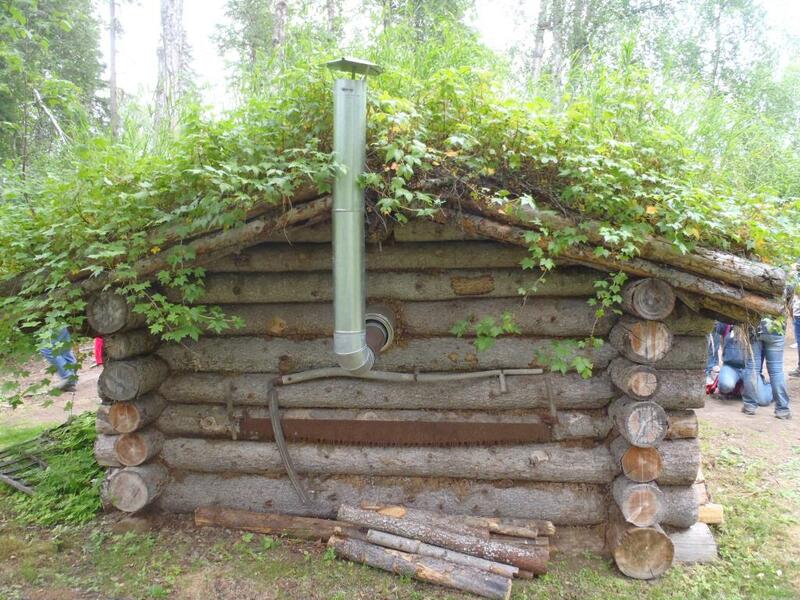 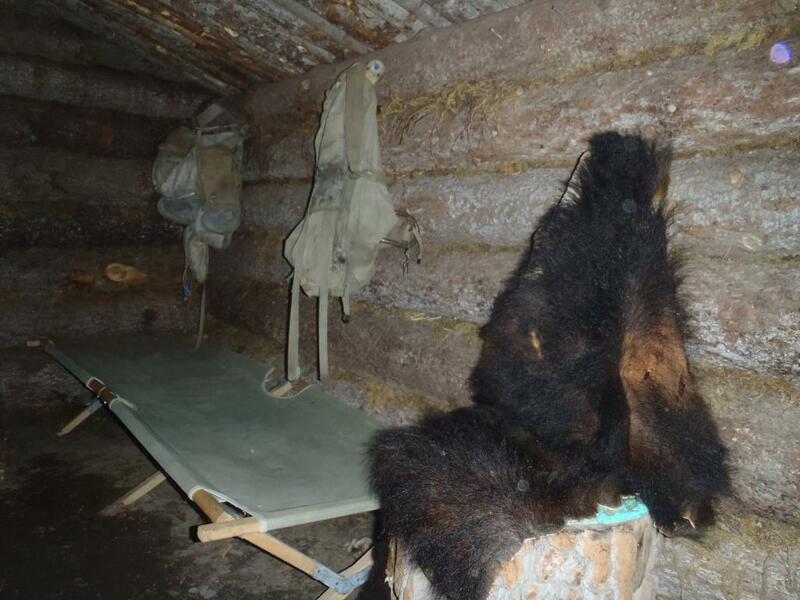 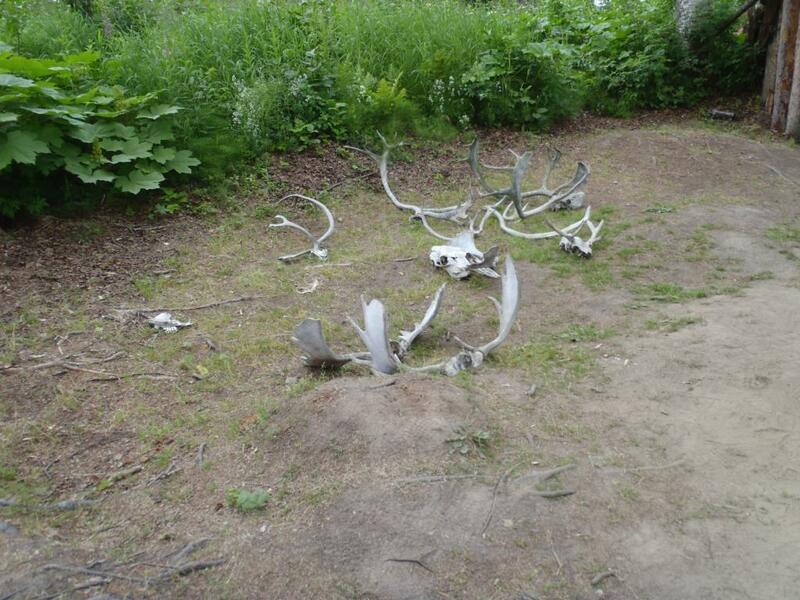 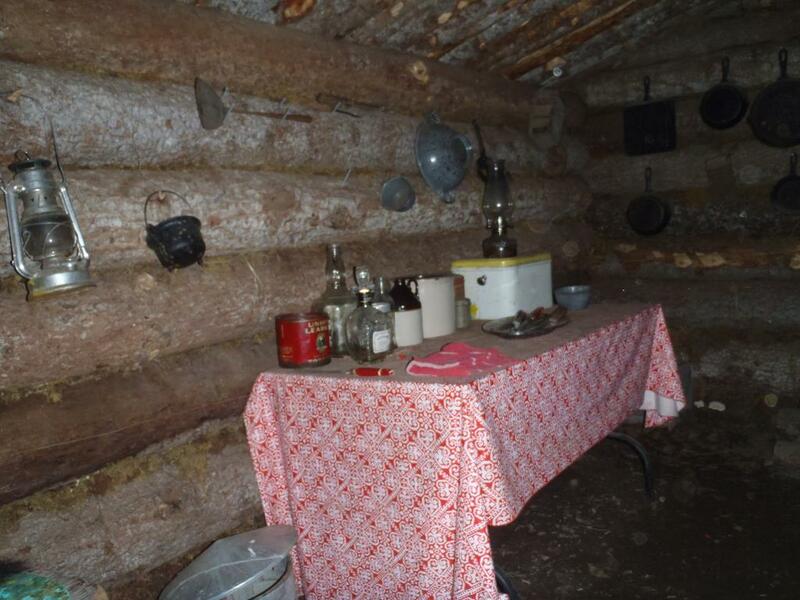 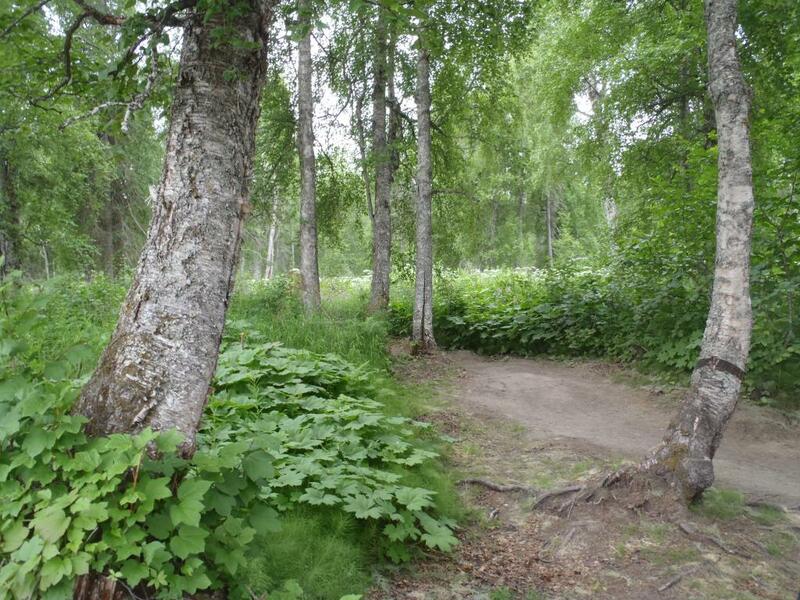 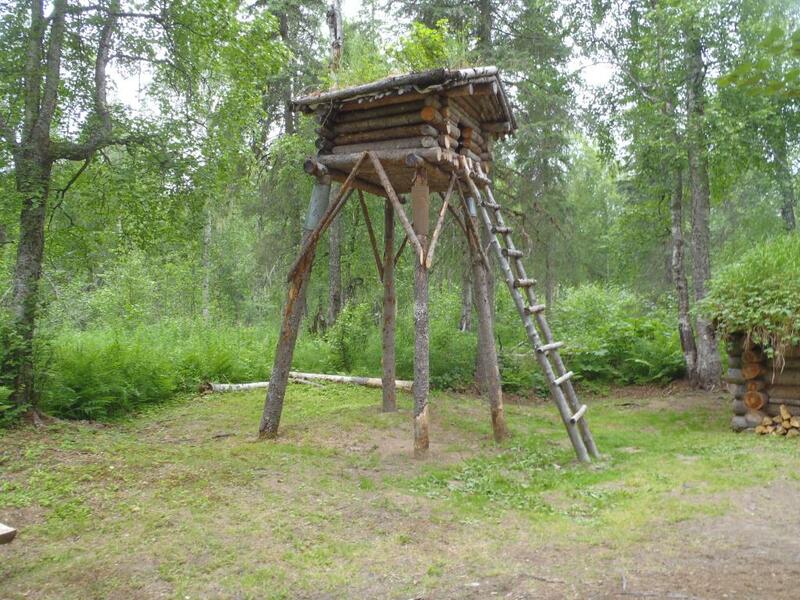 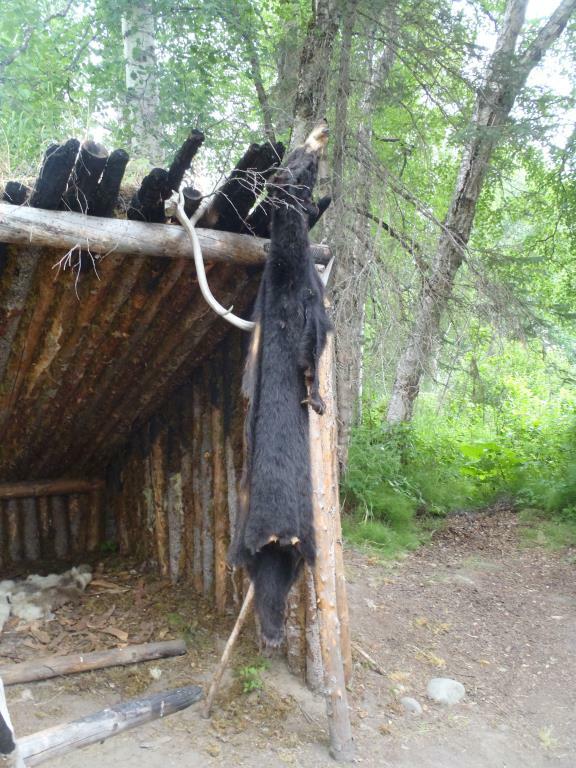 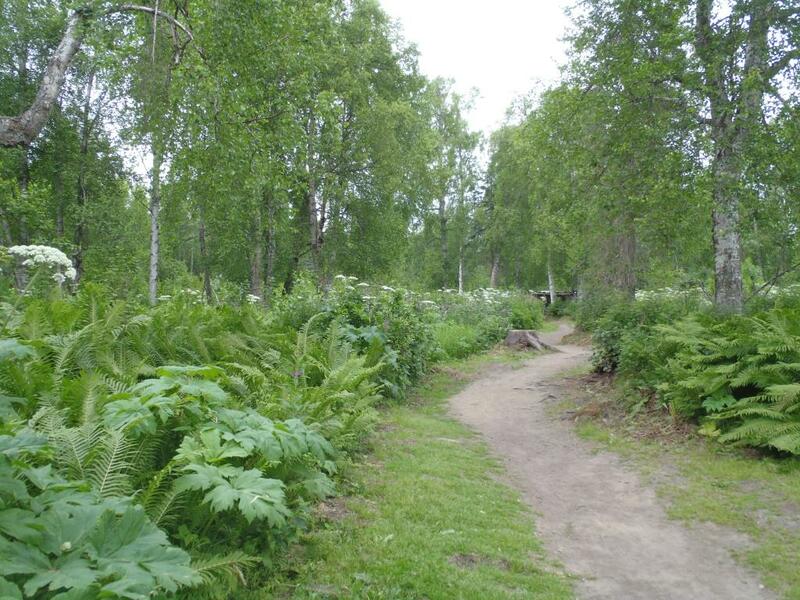 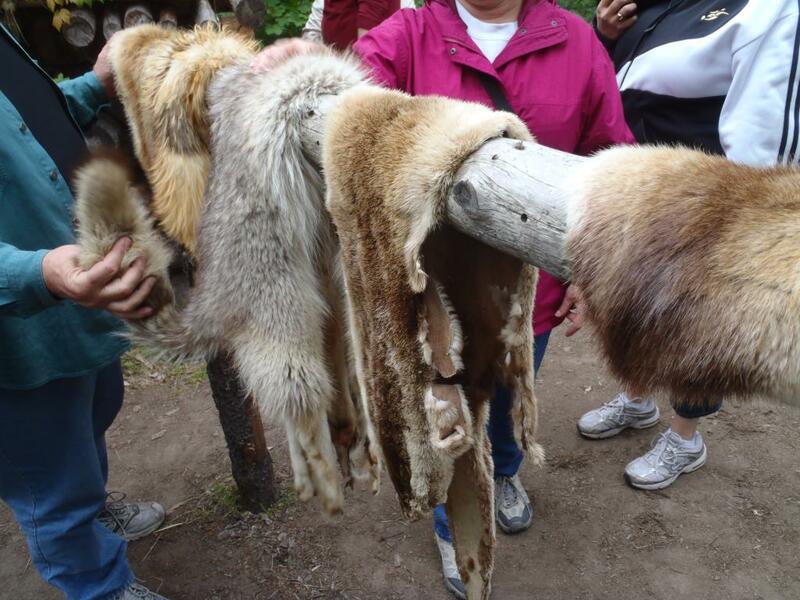 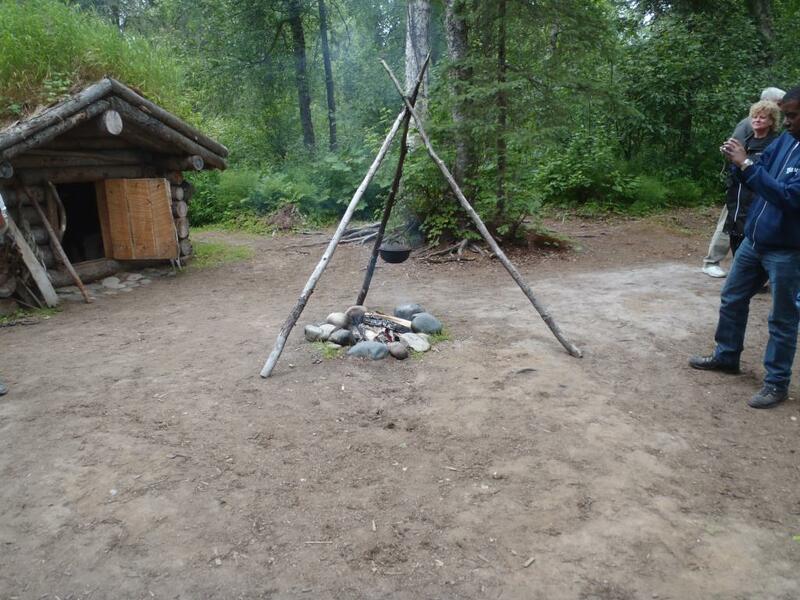 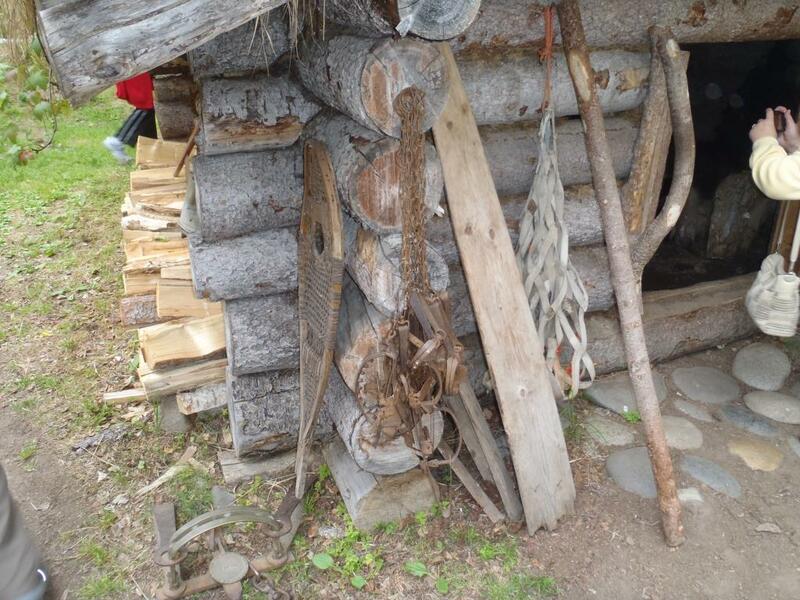 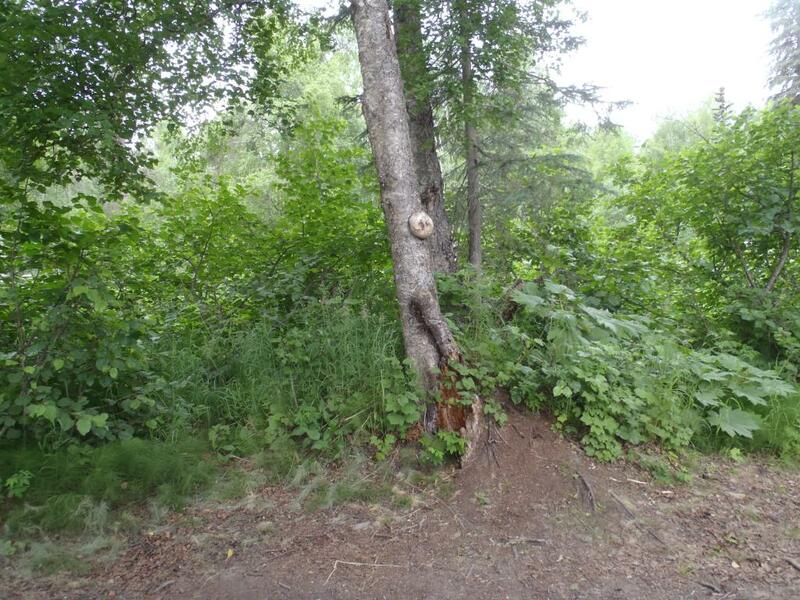 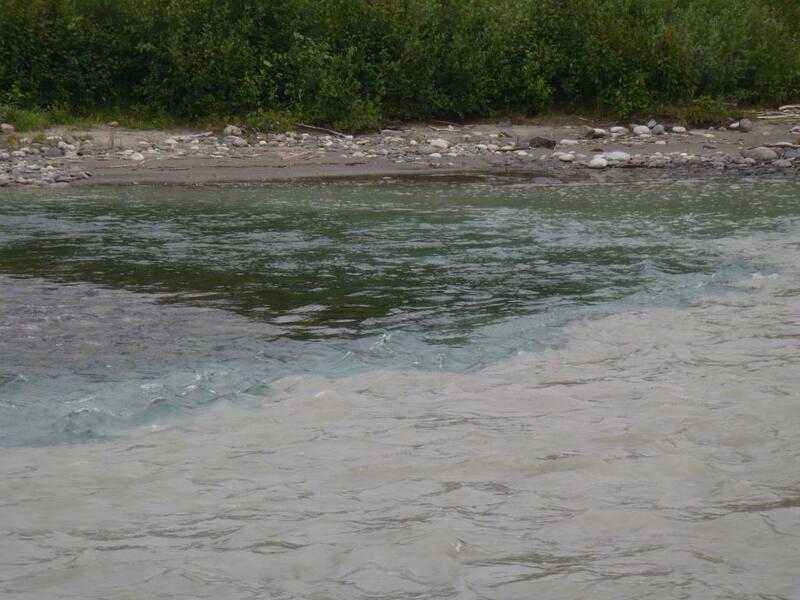 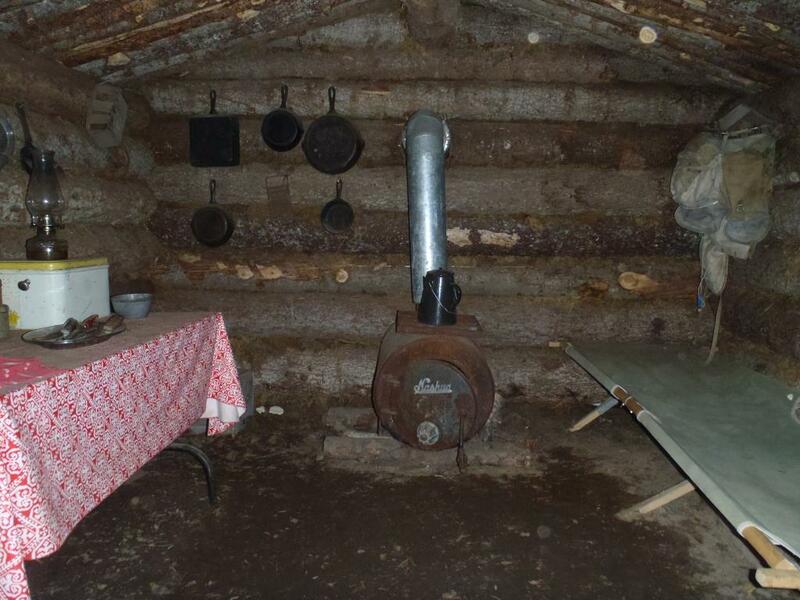 While there we noted our tour guide was carrying a rifle; she said bears sometimes visited the camp. 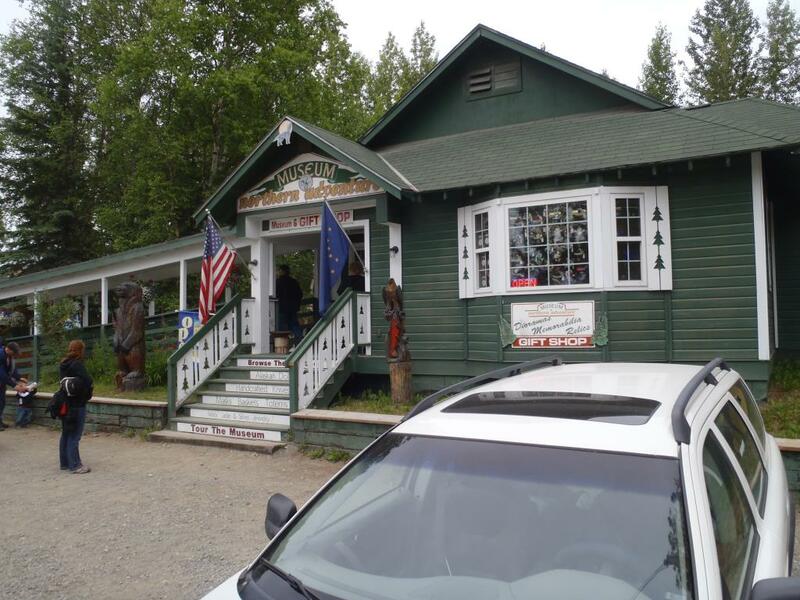 After returning to the dock we explored the town a little bit. 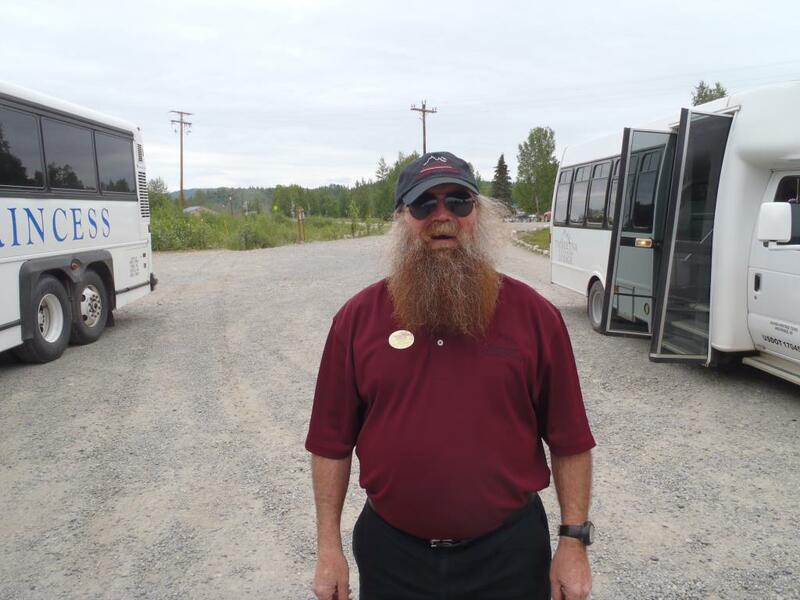 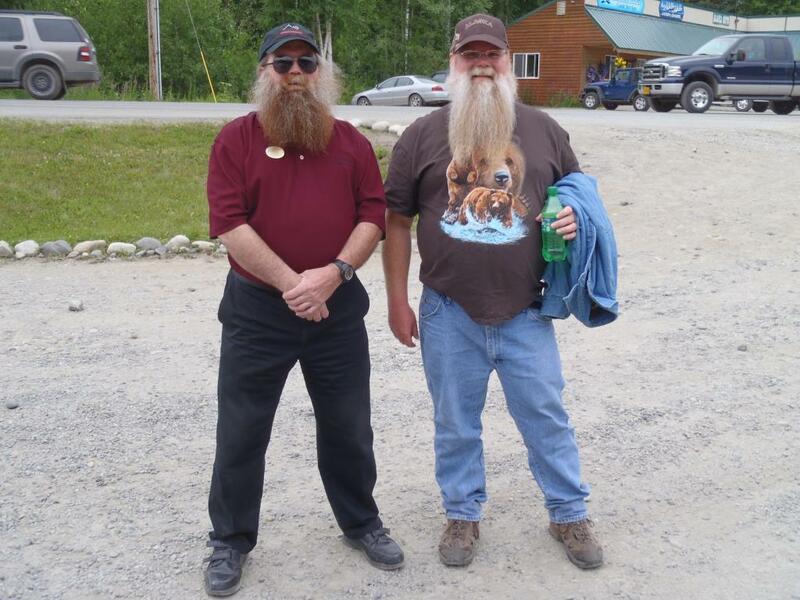 I also encountered someone who appreciated big beards.